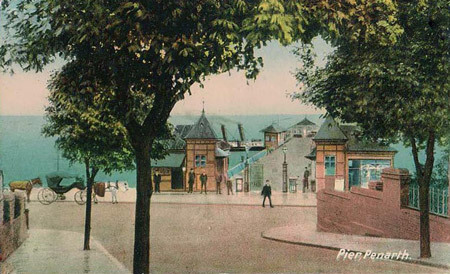 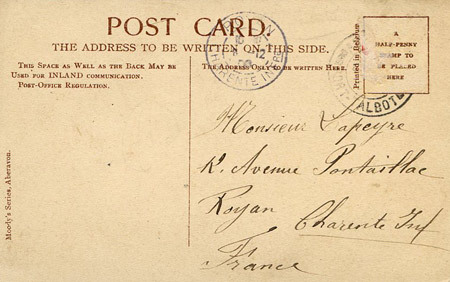 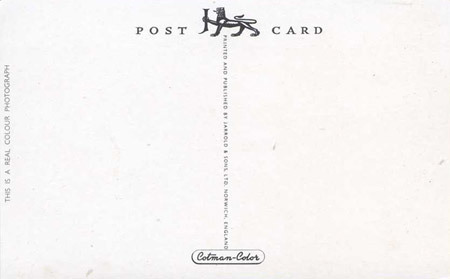 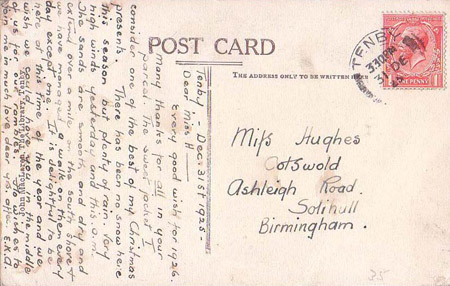 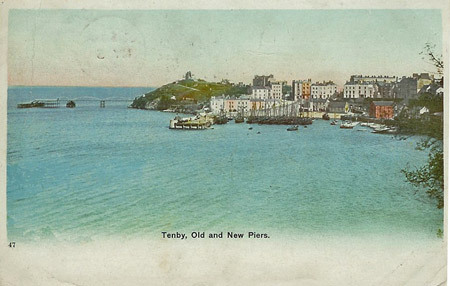 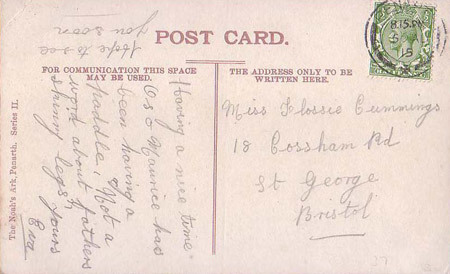 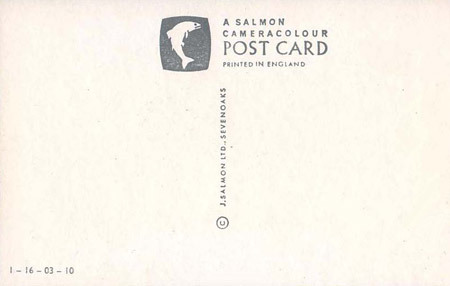 This page is devoted to postcards and photographs of the piers in Wales. 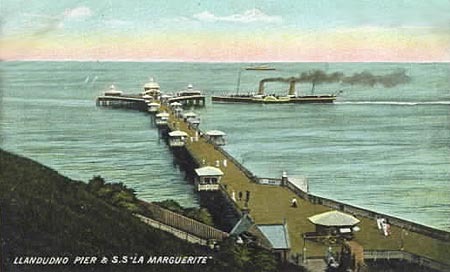 In addition to pleasure piers, some piers, pontoons and jetties used by ferries or excursion ships are also included. 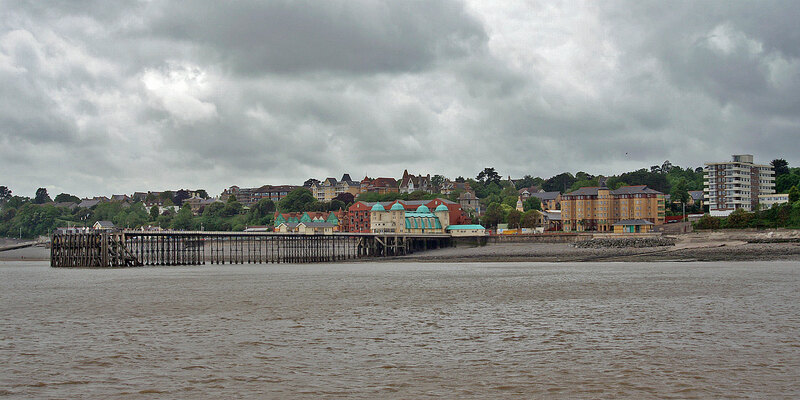 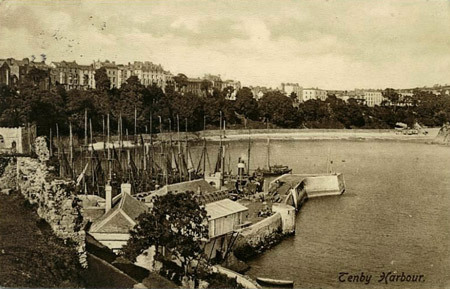 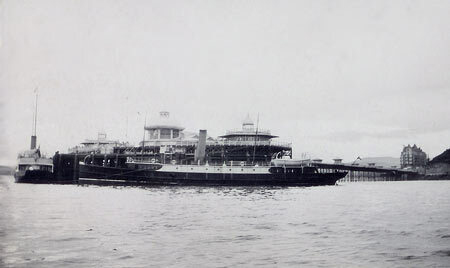 Penarth, one of several major coal ports on the Welsh south coast, also boasted a resort that was competing in the lucrative paddle steamer trade across the Bristol Channel. In 1894 work began on a pier designed by H F Edwards and commissioned by the Penarth Promenade and Landing Pier Company Ltd. 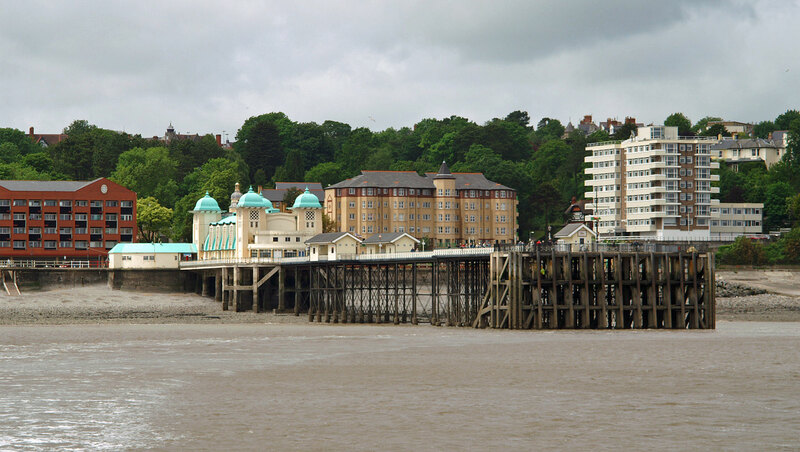 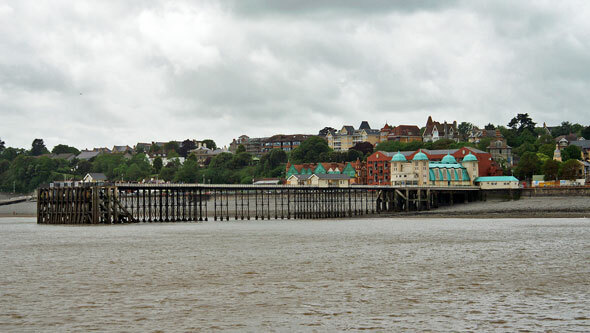 Under the management of the Mayohs brothers, Penarth Pier was completed the following year, opening on 4th February 1895. 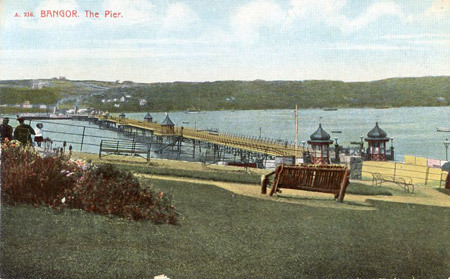 Built in cast iron with a timber deck, the original pier was no more than a landing jetty and promenade. 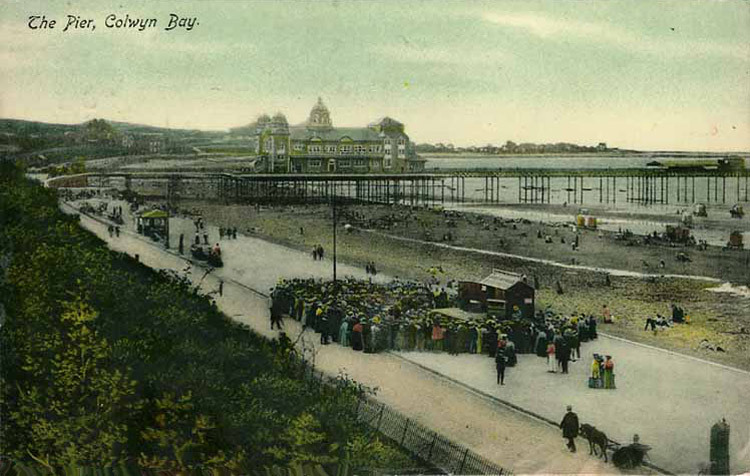 Facilities were extended in 1907 when a wooden pavilion was erected at the pier-head, and shops placed along the neck. 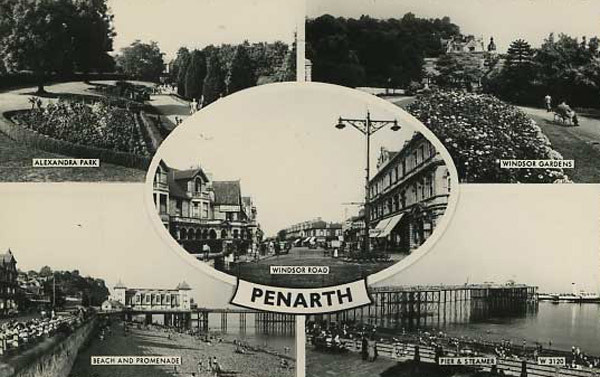 When Penarth Pier was sold to the local council in 1926, they later made further additions including a new concrete landing stage and a shore ward end pavilion. The history of Penarth Pier has not been without incident. 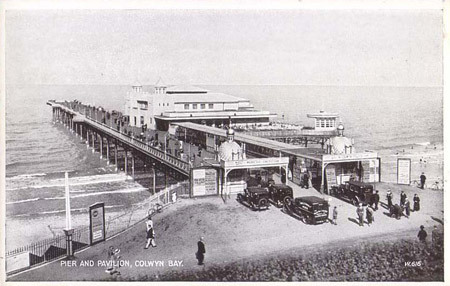 During the August Bank Holiday of 1931 a fire started in the seaward end pavilion, spreading almost the entire length of the pier within just a few minutes. The pier head, deck and shops were re-built at a cost of £3,157, but the wooden pier-head pavilion has never been replaced. Soon after the Second World War, Penarth Pier experienced a second major mishap when the 7,000-ton Canadian Port Royal Park was driven against the pier in a severe gale, destroying a large section of the structure. 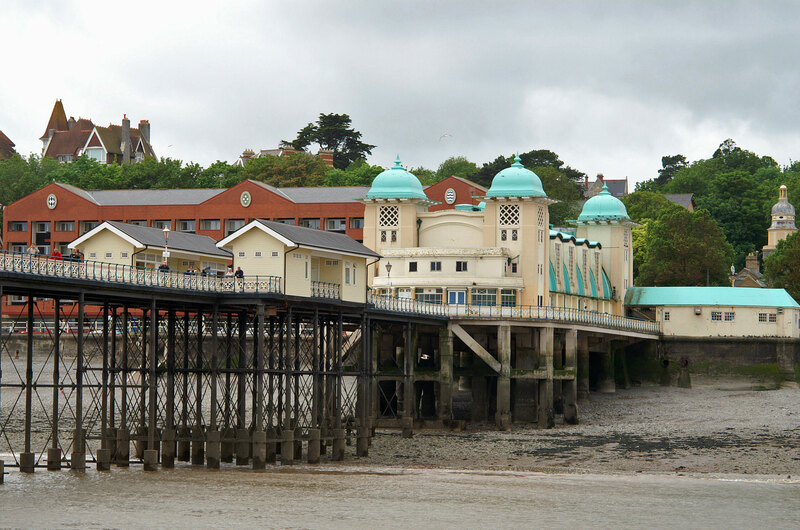 Repairs took two years to complete and cost some £28,000 to underpin the cast iron columns and install concrete columns at various points. 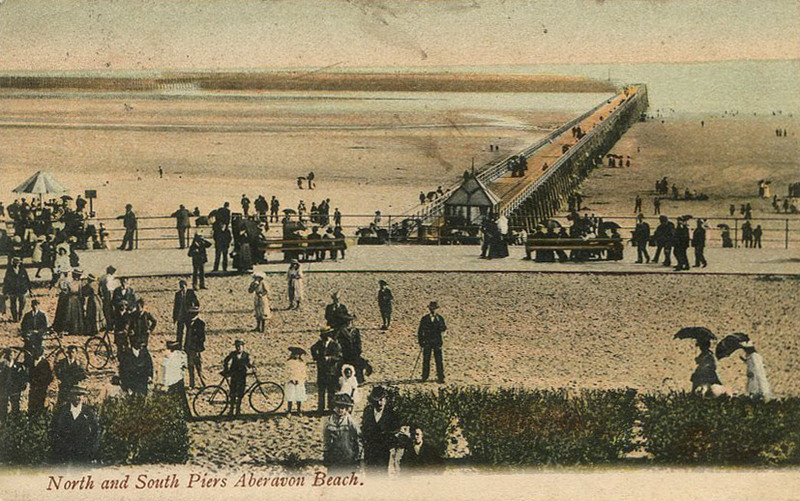 Aberavon had North and South breakwaters for the harbour, of which the South Pier was built of stone. 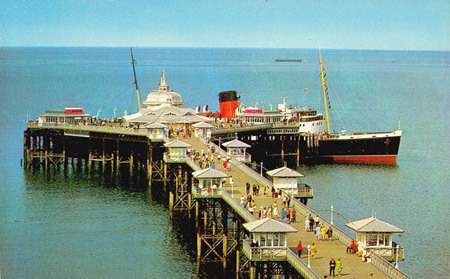 The North Pier was a less substantial wooden structure with a wooden promenade deck. 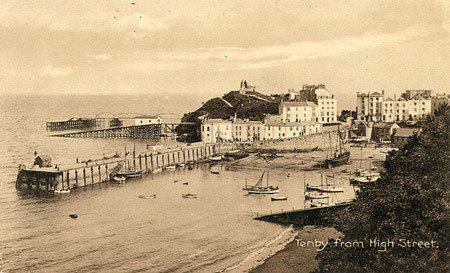 Mumbles Head is a rocky promontory that overlooks the gentle sweep of Swansea Bay. 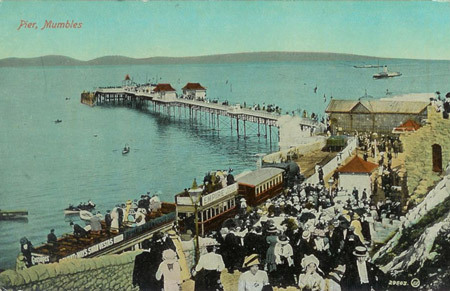 Designed by W Sutcliffe Marsh and costing £17,000, Mumbles Pier was commissioned as the terminus for the Swansea to Mumbles railway. 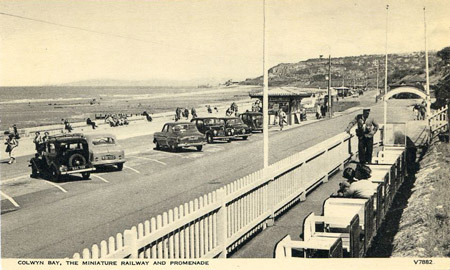 Frequented by the many steelworkers and miners living in the area, the pier was popular for its regular steamer excursions to other resorts on the Welsh Coast, along with the resorts of North Devon and Somerset. 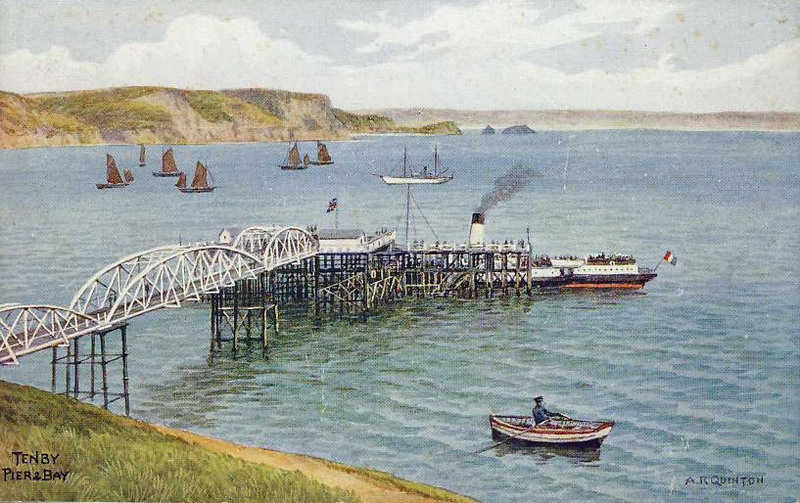 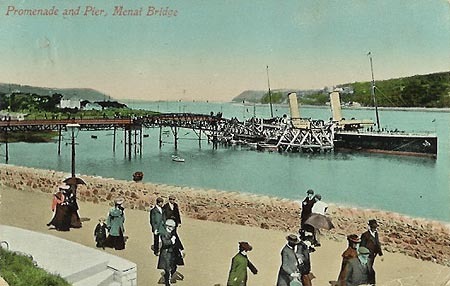 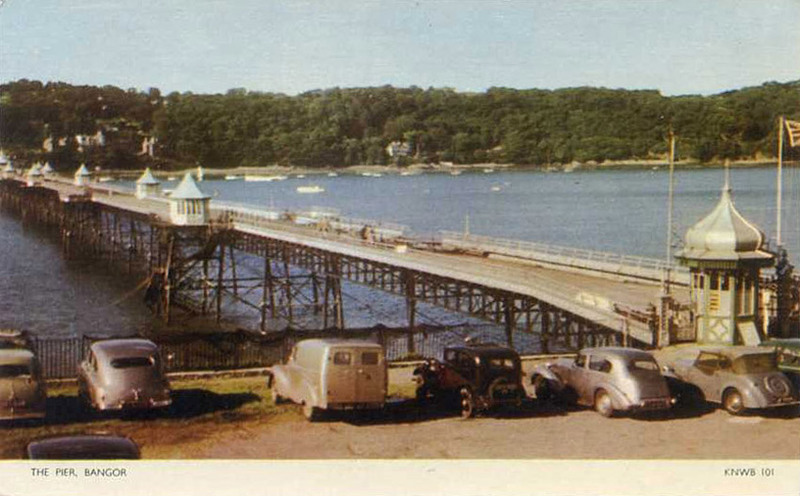 Mumbles Pier was constructed of lattice steelwork on cast iron piles, with a pitch pine deck. 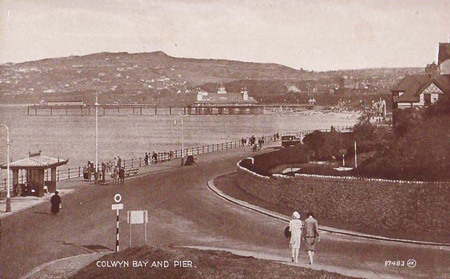 Originally 835ft (253m) in length, Mumbles Pier was officially opened on 10th May 1898. Designed as a landing jetty, Mumbles Pier only provided a bandstand and some amusement stalls for its visitors. 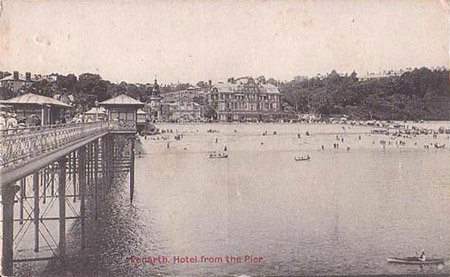 The Pier Hotel was built on the pier forecourt at the same time. Mumbles Pier's history has been largely uneventful. 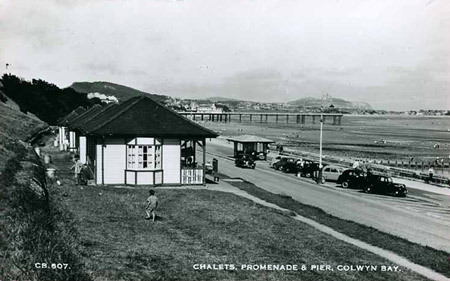 A lifeboat station and walkway was added at a right-angle to the main pier neck c1920, and is still used by the RNLI. 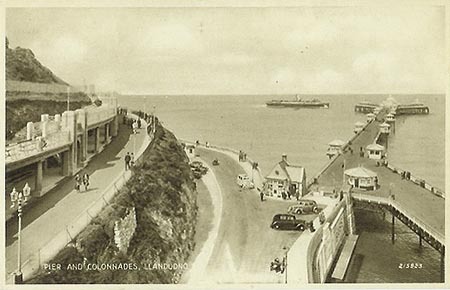 On 1st October 1937 the running of Mumbles Pier was taken over by AMECO Ltd, which continues to the present day. 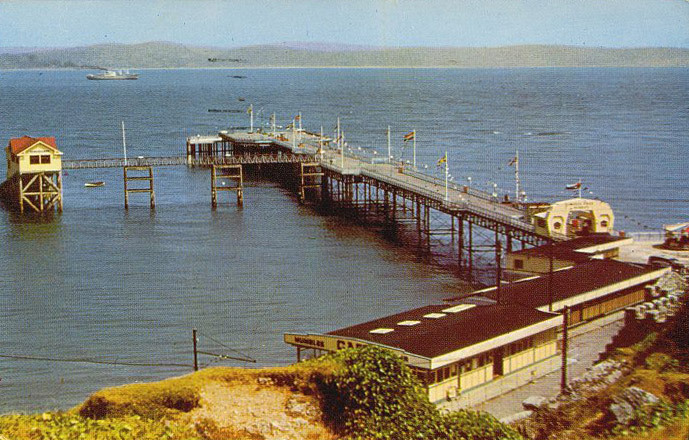 In keeping with most other southern piers Mumbles Pier was sectioned as a defence measure in 1940 and it was some years after the war before the pier was finally repaired, re-opening on 9th June 1956. 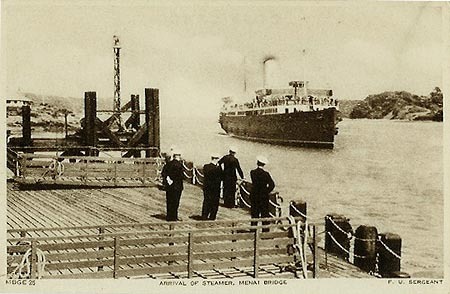 Substantial repair work was required prior to re-opening and it was during this time that a three-tiered concrete landing stage, on steel piles, was added at the pier-head. 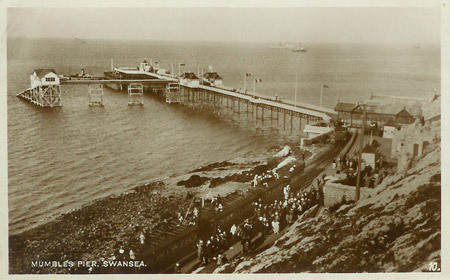 Shortly after re-opening the Swansea to Mumbles railway was closed. 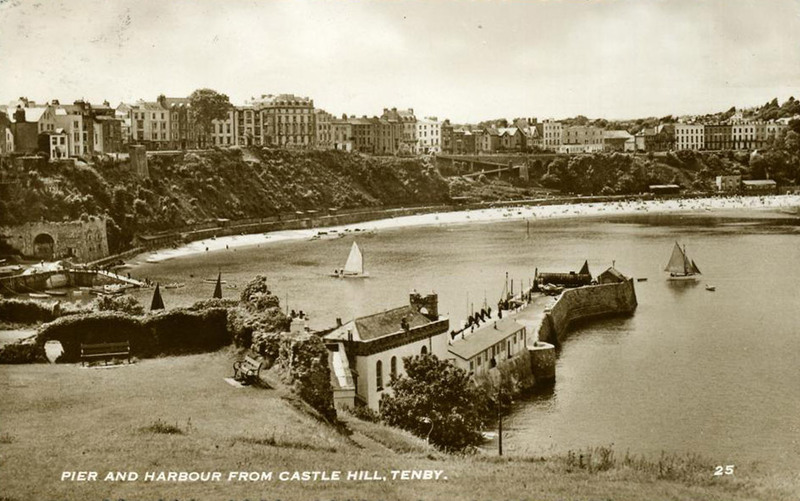 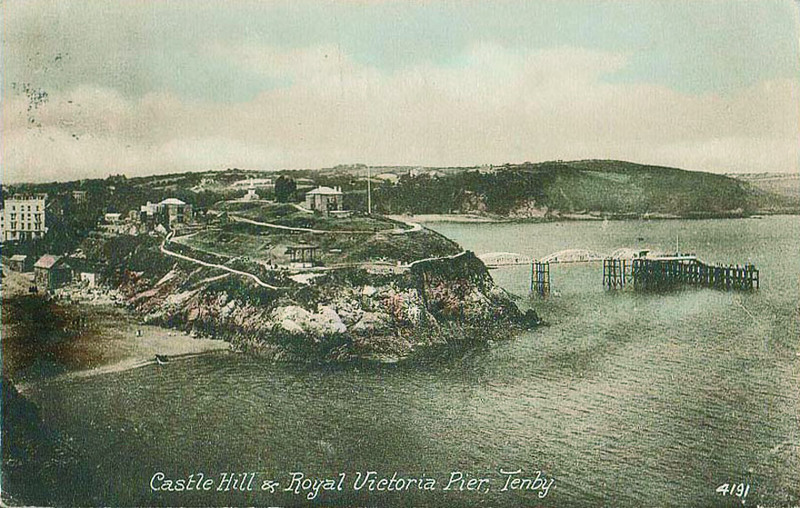 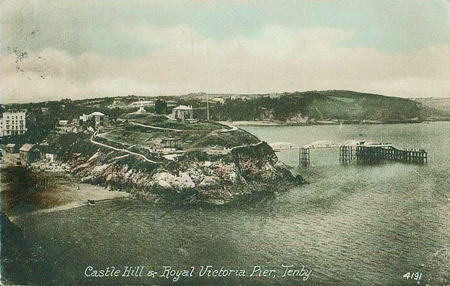 Tenby Royal Victoria Pier was built in 1897 and officially opened in 1899 by the Duke of York. 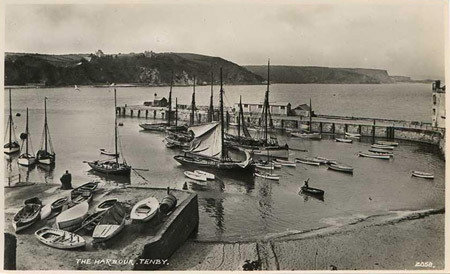 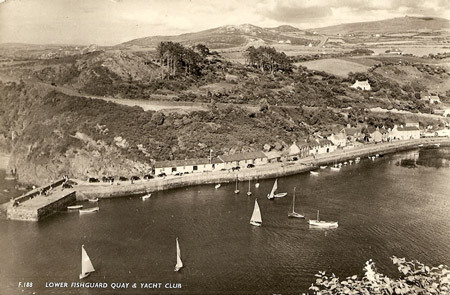 It was designed as a steamer jetty for service from other South Wales resorts and North Devon/Somerset piers. 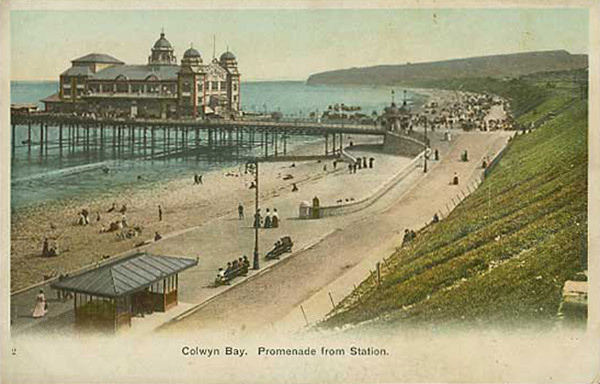 It was demolished slowly between 1946 and 1953. 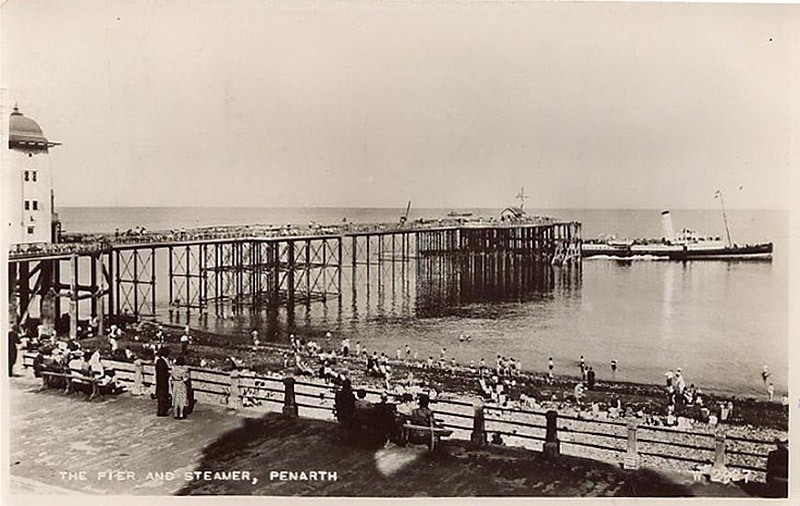 Aberystwyth pier was the first purpose built pleasure pier in Wales. 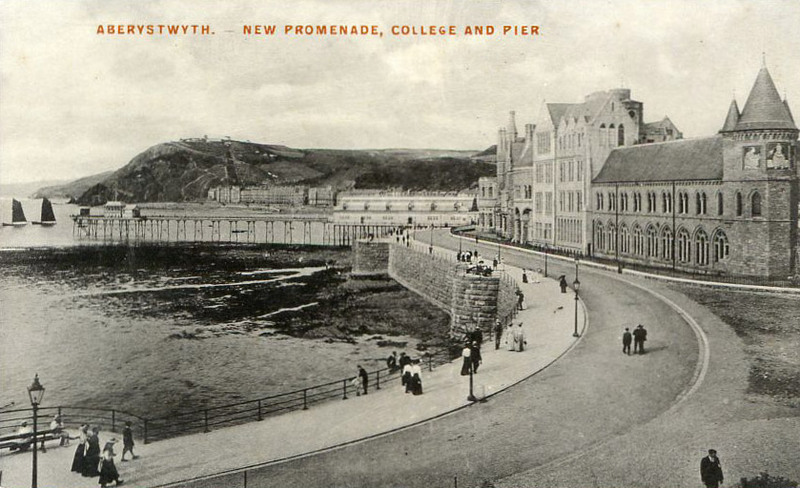 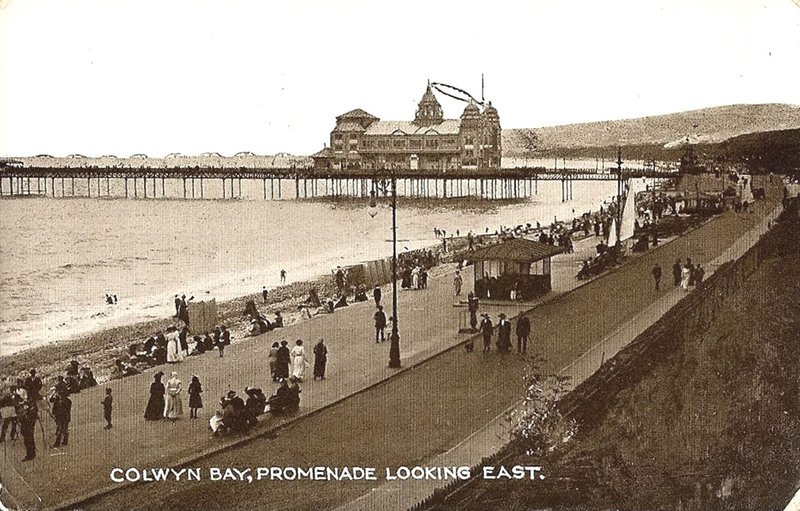 Commissioned by the Aberystwyth Pier Promenade Company, it was designed and constructed by the famous engineer Eugenius Birch, in conjunction with contractors J. E. Dowson. 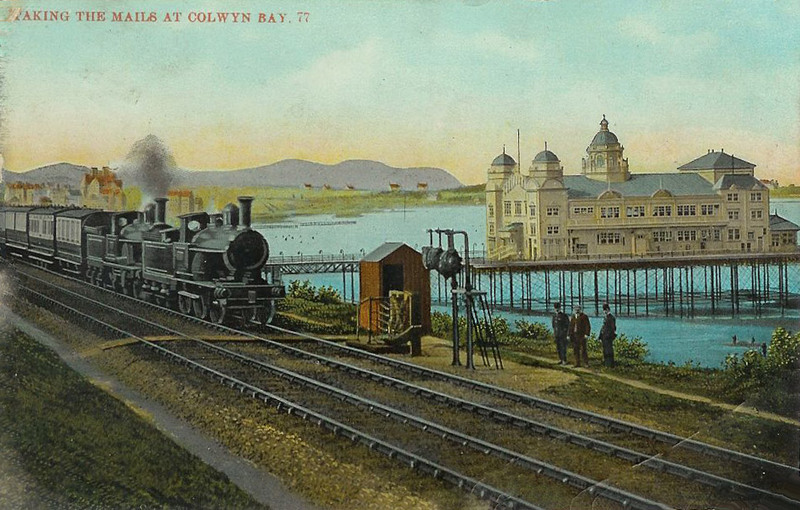 The 800ft (242m) Aberystwyth Royal Pier opened on Good Friday in 1865, which happened to coincide with the arrival of the Cambrian railway in Aberystwyth. 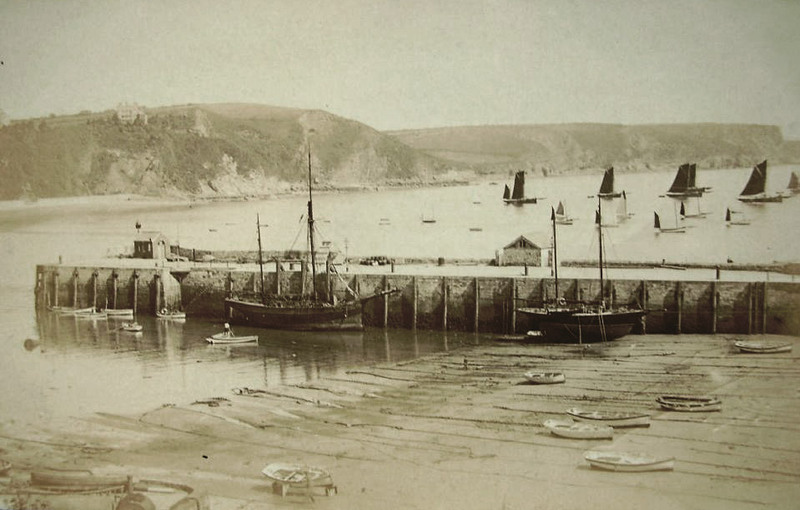 Just seven months later in January 1866, a severe storm washed away a 100ft (30m) section at the seaward end. 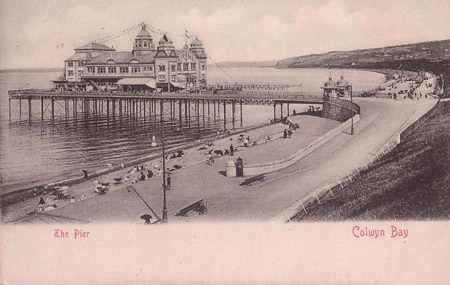 This disaster had a considerable impact on the company, that eventually led to the sale of the pier a few years later. 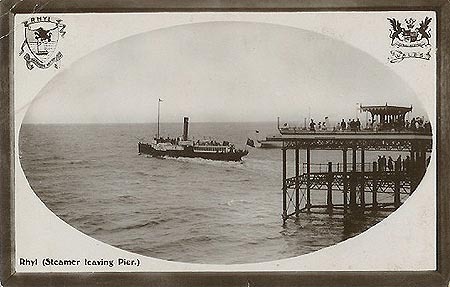 In 1872 the new owners replaced the missing section with a slimmer 230ft (70m) extension, and added a gallery and refreshments room at the head. 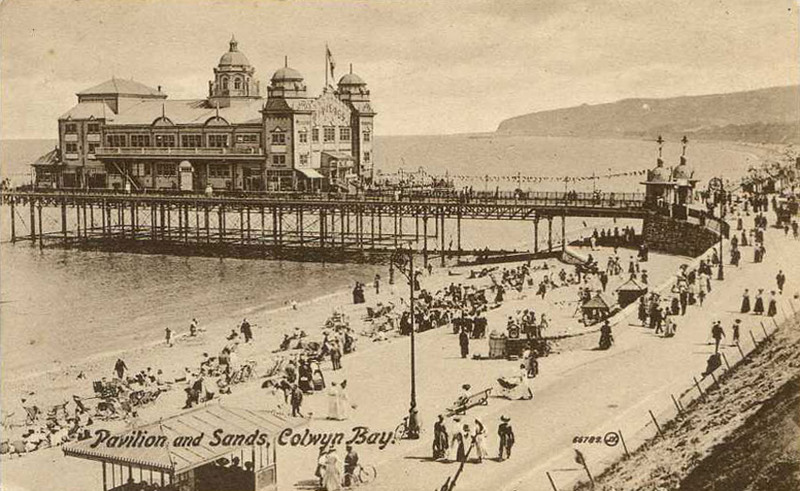 Towards the end of the 19th century Aberystwyth Royal Pier received a glass pavilion at the shore ward end of the pier, designed by G Croydon-Marks. 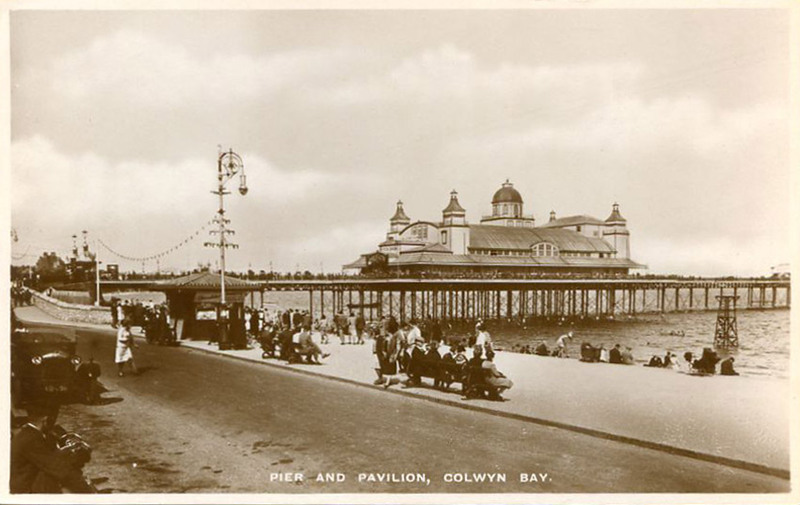 The new pavilion consisted of three aisles surmounted by glass domed roofs, the elevations being ribbed and decorated in the Gothic style. 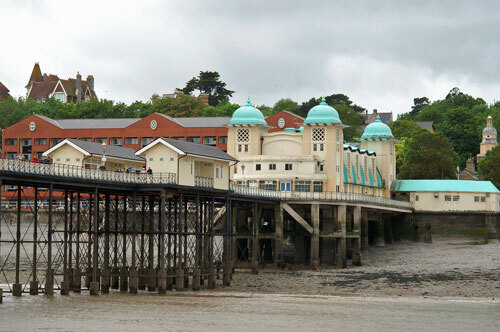 With the capacity to accommodate 3,000 people, it was opened by the Princess of Wales on 26th July 1896. 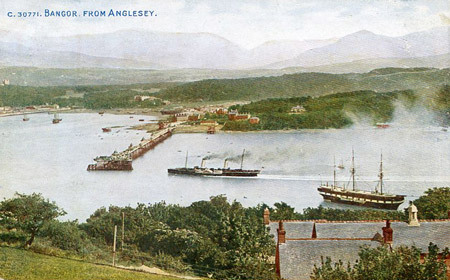 Photochrom Co postcard of Snowdon at Caernarvon Pier. 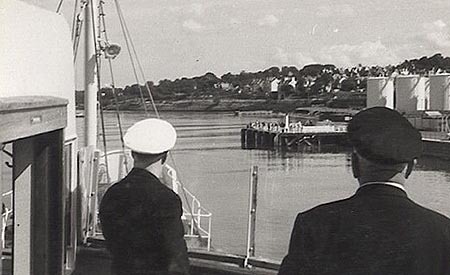 Photograph of Queen of the Isles at Caernarvon, 1pm, Tuesday 8th September 1967. 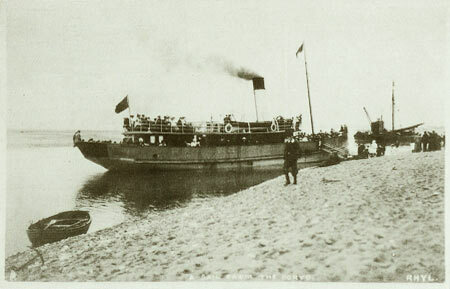 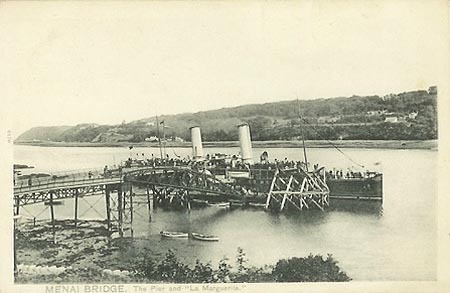 Photographic postcard of St Elvies arriving at Menai Bridge Pier. 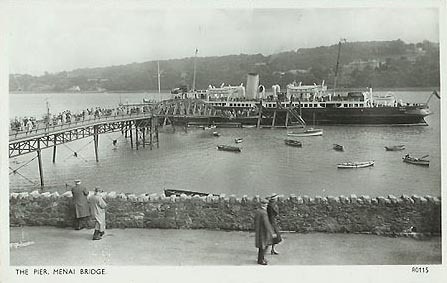 La Marguerite at Menai Bridge pier. 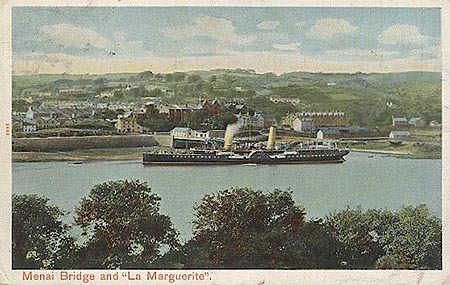 La Marguerite at Menai Bridge. 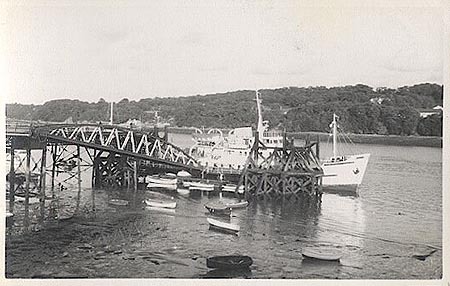 Postcard of St Seiriol (2) at Menai Bridge Pier. 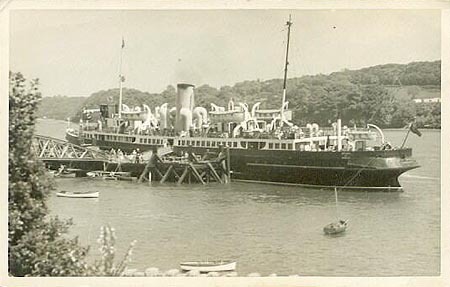 Bamforth postcard of Queen of the Isles, at Menai Bridge, whilst on charter to P&A Campbell for North Wales excursions. 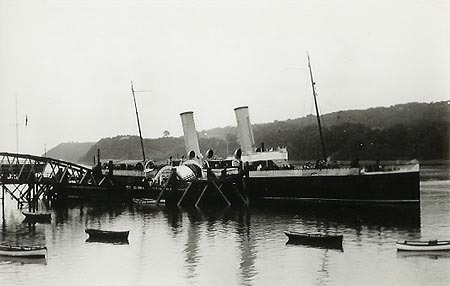 Photograph of Queen of the Isles, at Menai Bridge, whilst on charter to P&A Campbell for North Wales excursions. 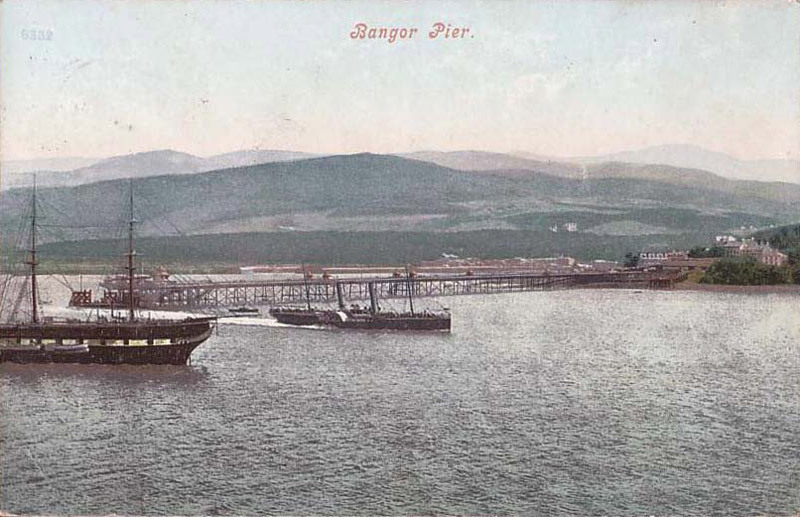 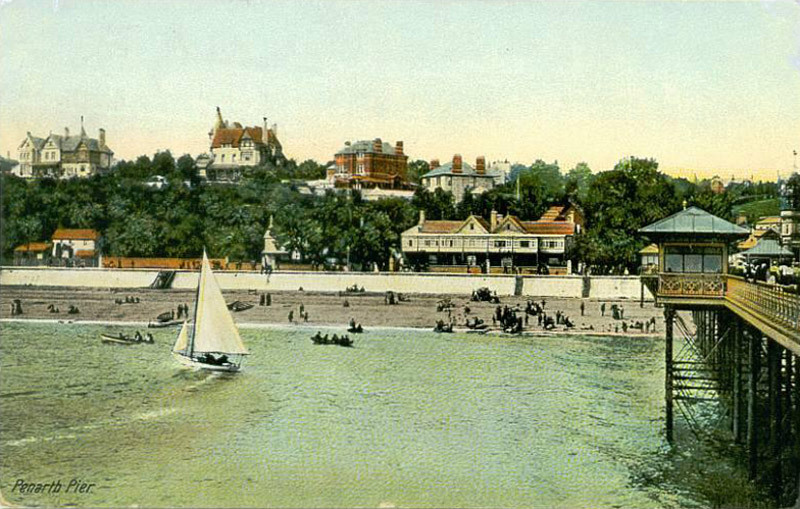 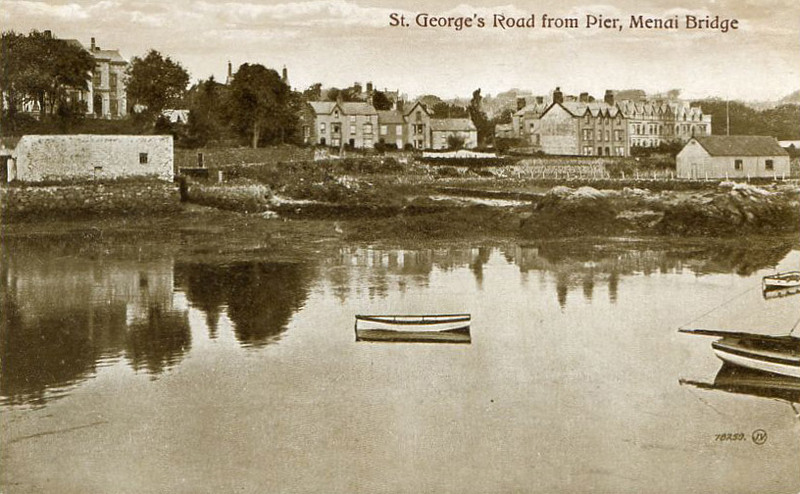 The construction of Bangor Pier did not commence until the mid 1890s, making it one of the later piers to be built. 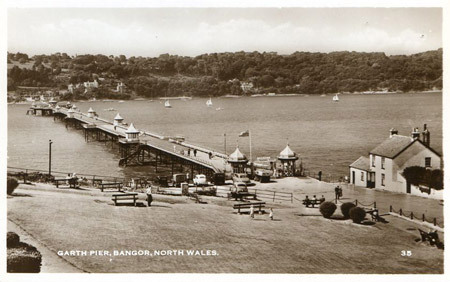 Designed by JJ Webster of Westminster, and at a cost of some £14,475, Bangor's new 1550ft (470m) pier opened to the public on 14th May 1896 with a ceremony performed by Lord Penrhyn. 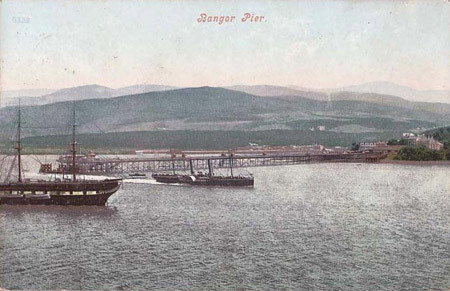 Constructed largely in steel, with cast iron columns and screw piles, Bangor Pier comprised of a wooden deck punctuated with a series of elegant polygonal kiosks with steeply pitched roofs, ornamental lamps and handrails, and a pontoon landing stage at the head. 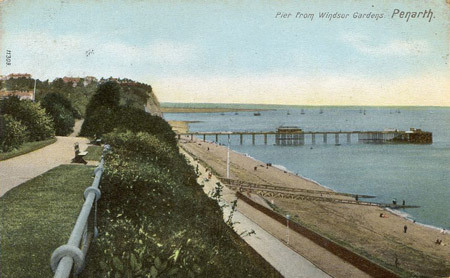 A 3ft (90cm) gauge railway for baggage handling was also included in the design, but was removed in 1914. 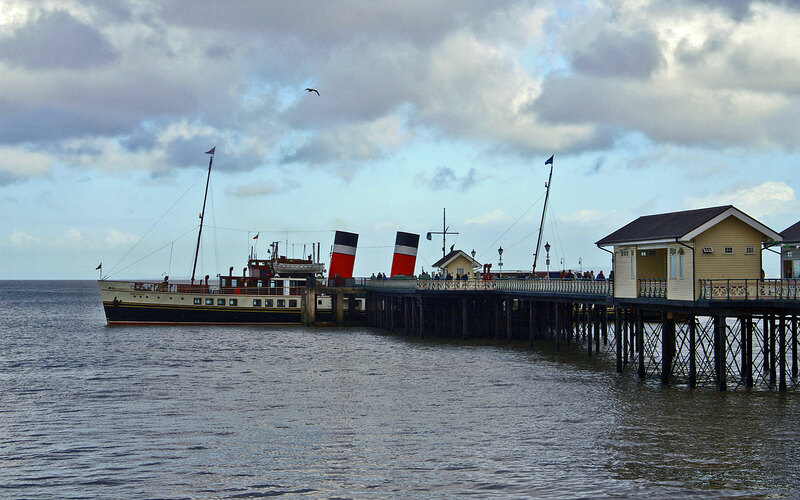 Handling steamers from Douglas, Liverpool and Blackpool the operation of the pier remained uneventful until 1914 when a coaster, the Christiana, broke free of her moorings and collided with the neck of the pier causing considerable damage. 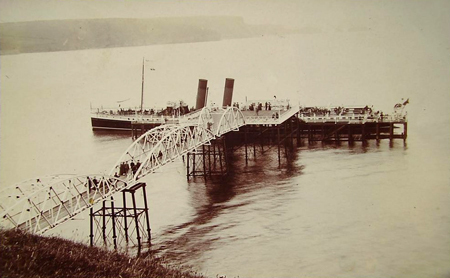 The resulting gap was bridged with a temporary gangway until a permanent repair was finally made in 1921. 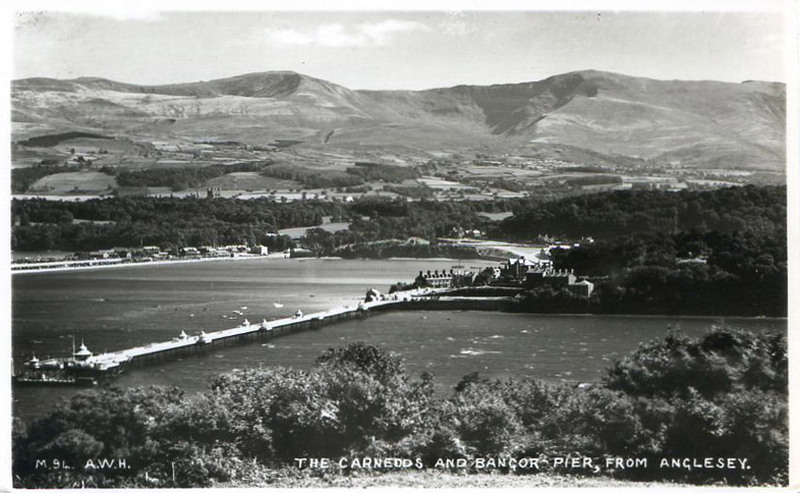 Beaumaris Pier was designed by Frederick Foster and constructed of wooden piles and iron girders, the original pier opened in 1846. It was a simple structure, built purely for use as a landing jetty. In 1872, Beaumaris Pier had to be rebuilt, having suffered considerable storm damage. It was further extended in length to 570ft (172.7m) in 1895 and it is believed it was at this time that the 2.5ft (75cm) gauge baggage line was installed. Originally used by the contractors and laid down the western side of Beaumaris Pier, the line was always manual in operation, using hand propelled luggage trucks and mineral wagons. 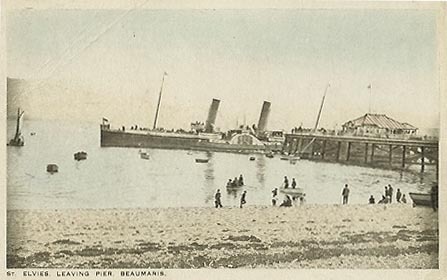 The line fell into disuse after the Great War of 1914-1918. At the end of the 19th century a small pavilion was added to the pier-head. 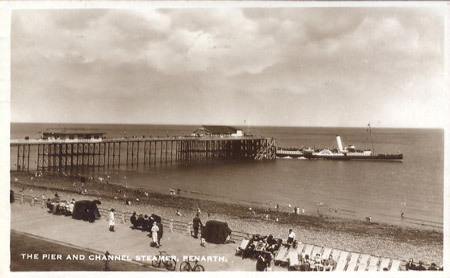 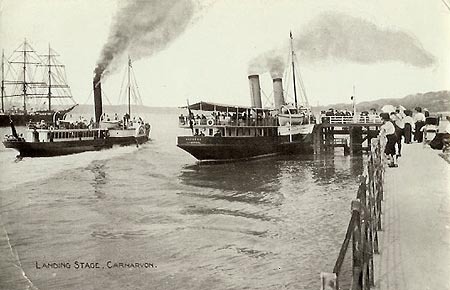 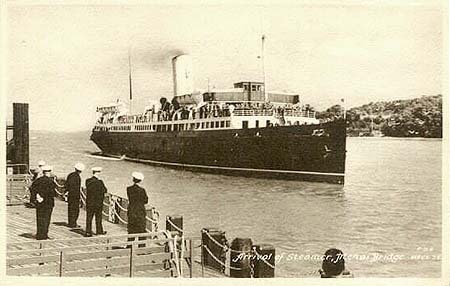 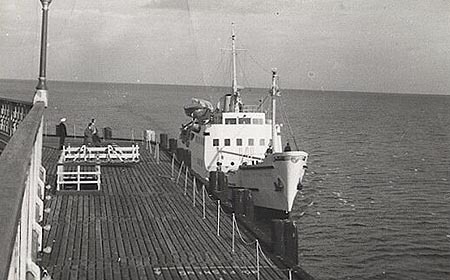 Before 1939, Beaumaris Pier served the steamers of the Liverpool & North Wales Steamship Co, most notably the Snowdon, La Marguerite and the St Elvies. 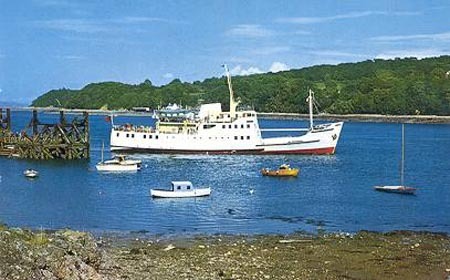 The ferry Cynful also provided a service to Bangor across the Menai Strait, as well as evening excursions around Puffin Island. 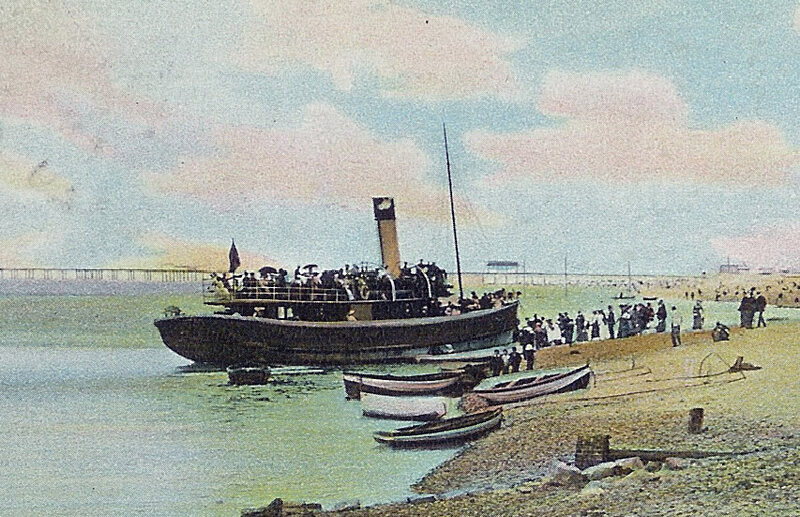 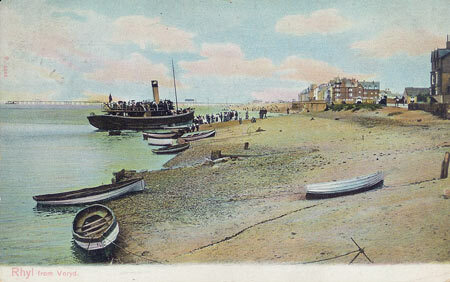 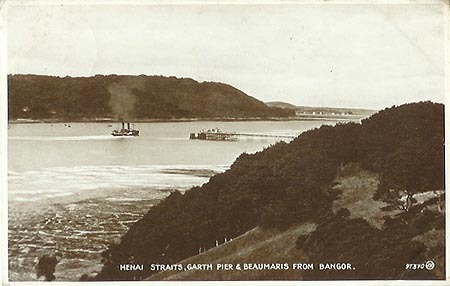 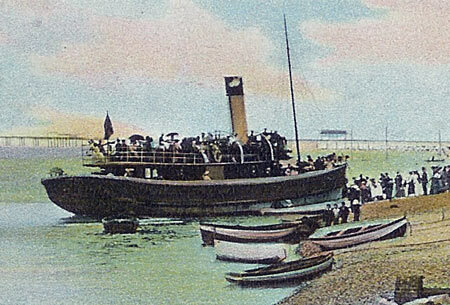 W.R.Hughes (Beaumaris) postcard of St Elvies leaving at Beaumaris Pier. 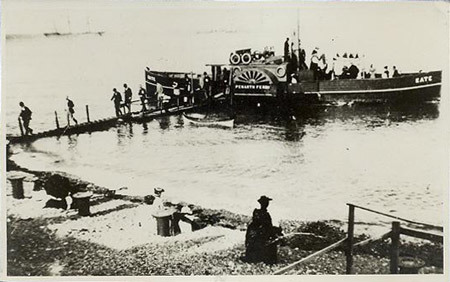 Deganwy was a steamer jetty for the paddle steamers of the St George Steamship Co which ran to Trefiw across the river between 1847 and 1940. Llandudno Pier was commissioned by the Llandudno Pier Company, and the design was by Charles Henry Driver in conjunction with James Brunlees, engineer. 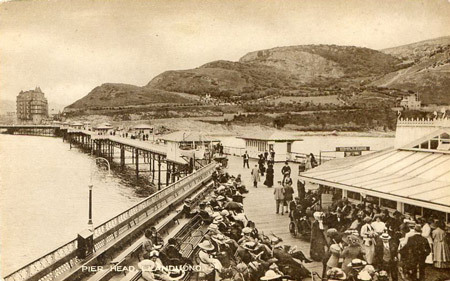 Llandudno Pier took just over a year to construct, opening to the public in 1878. 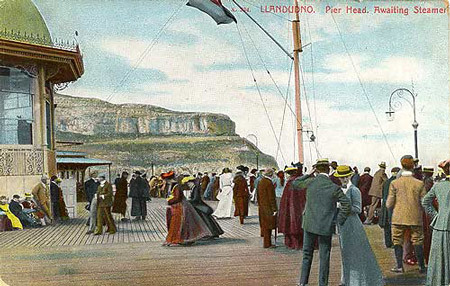 The design of the pier is unusual in that instead of a normal straight neck projecting from the shore, Llandudno Pier has a 45-degree turn roughly a third of the way along its length. 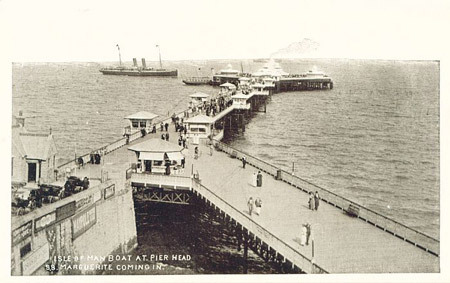 Extending 1,234ft (376m) from shore the pier comprised initially of a promenade deck with a 60ft (18m) 'T' shaped pier-head, punctuated by four pairs of elegant kiosks along the neck, with a further three larger octagonal kiosks at the head. 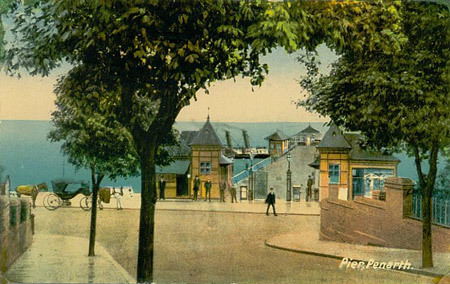 Spectacular use was made of wrought iron in its decoration, especially in the delicate balustrades and lattice work railings. The completion of the shore ward end of the complex was to take a further six years and consisted of a new pavilion that incorporated a swimming pool, and an extension past the Grand Hotel to the promenade that increased the pier's overall length to 2,295ft (695m). 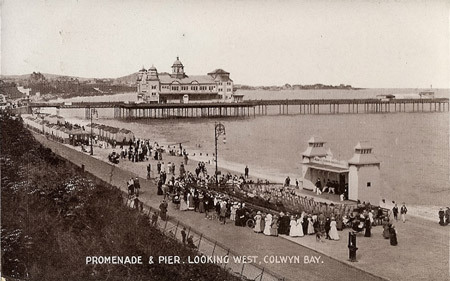 A landing stage was built in 1891 being reinforced in the early 20th century, and the surviving seaward end pavilion was added in 1905. 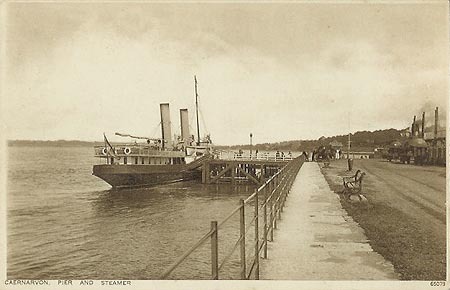 Major alterations were made again to the landing stage in 1935. The Trust House Forte group purchased Llandudno Pier in 1968 and was responsible for the further replacement of the landing stage, this time in concrete, in 1969. 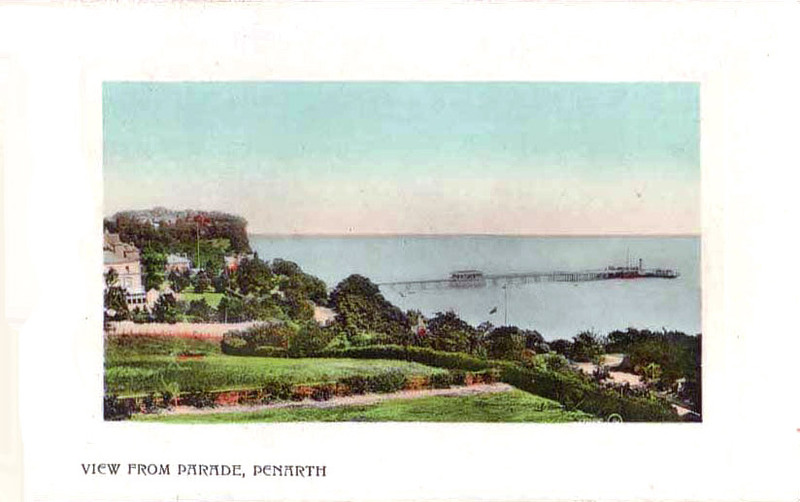 The shore ward end pavilion was closed in 1990 and was subsequently destroyed in a fire on the 13th February 1994. It has since been demolished and not rebuilt. 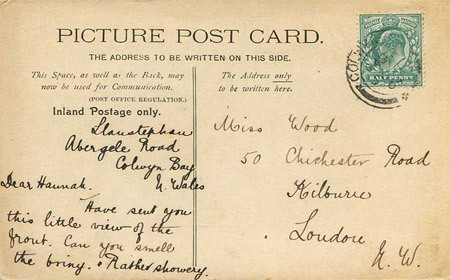 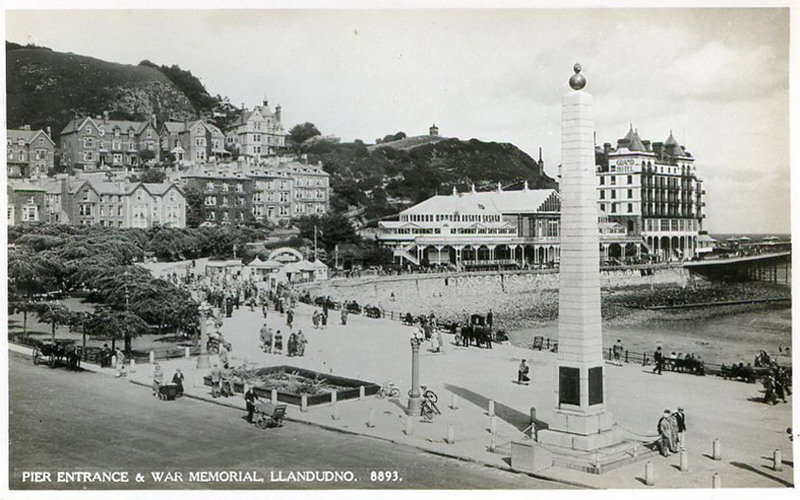 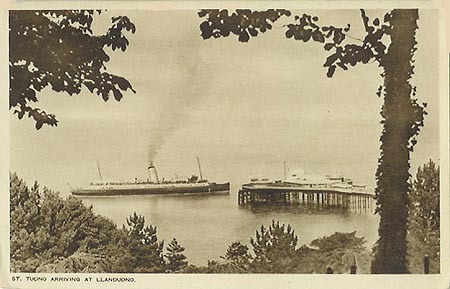 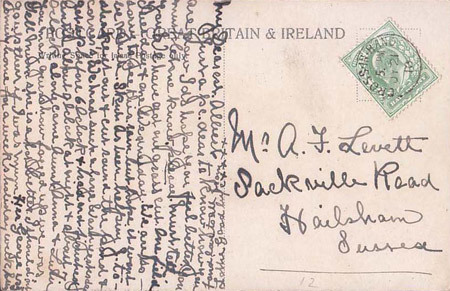 M&L postcard of St Tudno (3) at Llandudno. 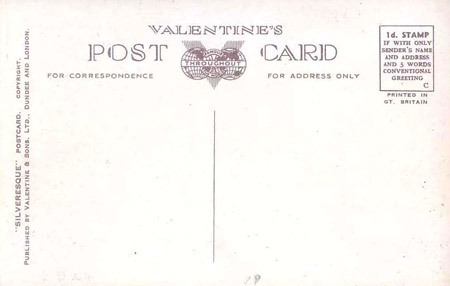 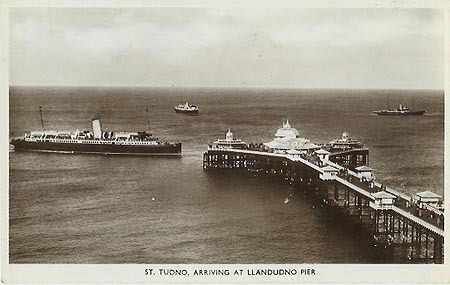 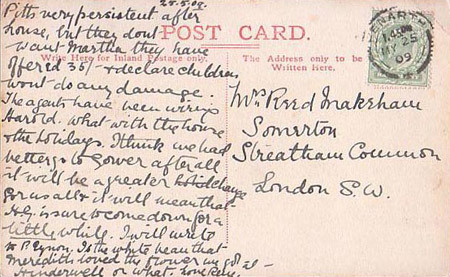 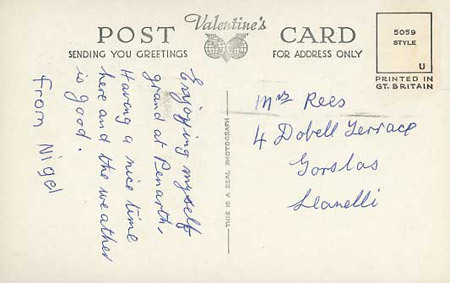 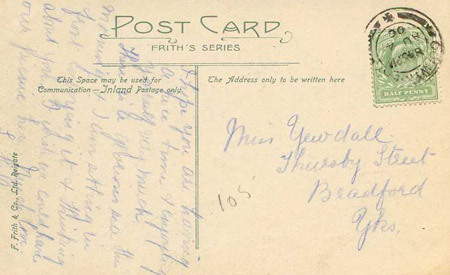 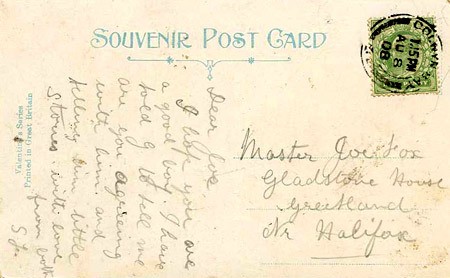 Valentine's postcard of St Tudno (3) at Llandudno. 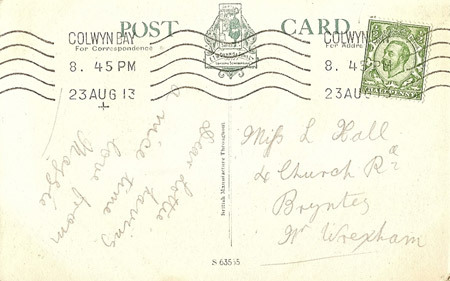 Cotman-Colour (Jarrold) postcard KNWLL108 of St Seiriol (2) at Llandudno. 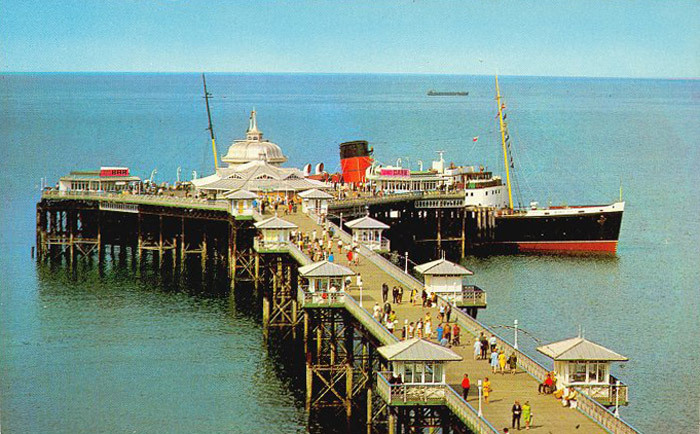 Photograph of Queen of the Isles at Llandudno, Wednesday 27th September 1967. 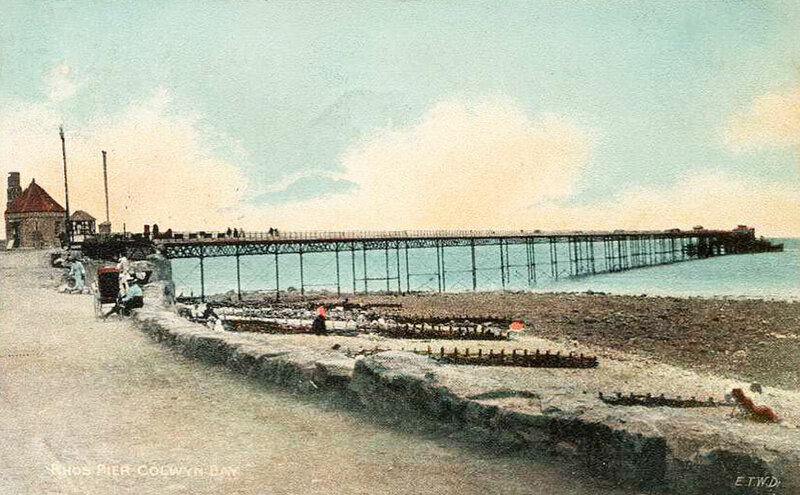 It was originally thought that this pier was originally built at Douglas in the Isle of Man and later bought by a group of North Wales businessmen in 1895/6, dismantled and re-erected at Rhos-on-Sea.However, in the book 'Piers of Wales' by Martin Easdown and Darlah Thomas, it has been shown that the Douglas Iron Pier never went to Rhos-on-Sea. 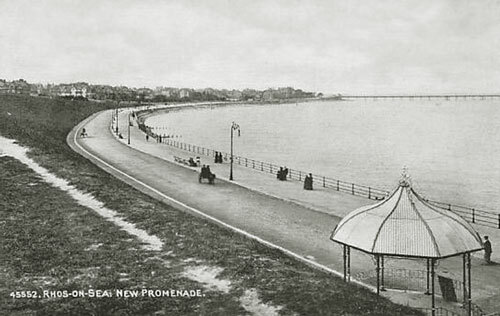 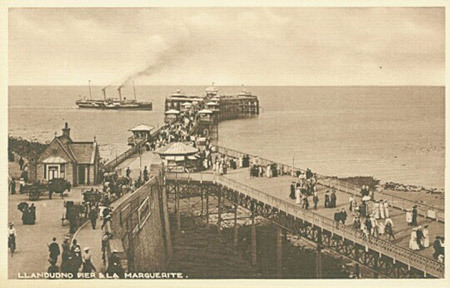 The Douglas pier was closed in 1891 and acquired by the the council who offered it for scrap as they wanted to widen the promenade at the foot of Broadway. 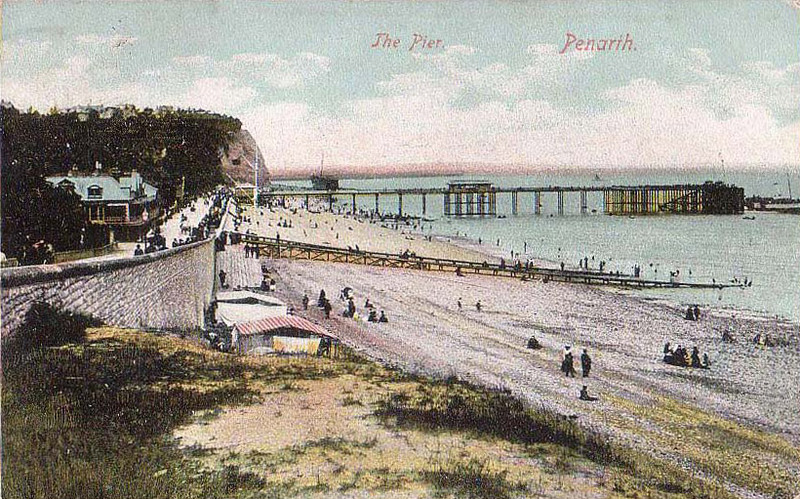 A number of resorts (such as Penarth and Abergele) had a look at the pier with a view to re-erecting it at their resorts (it was up for sale at �1,300) but that failed to happen. 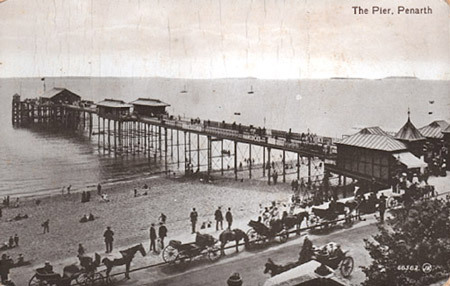 In the early part of 1894 demolition of the pier began by a Manchester scrap metal merchant, which was completed by May. 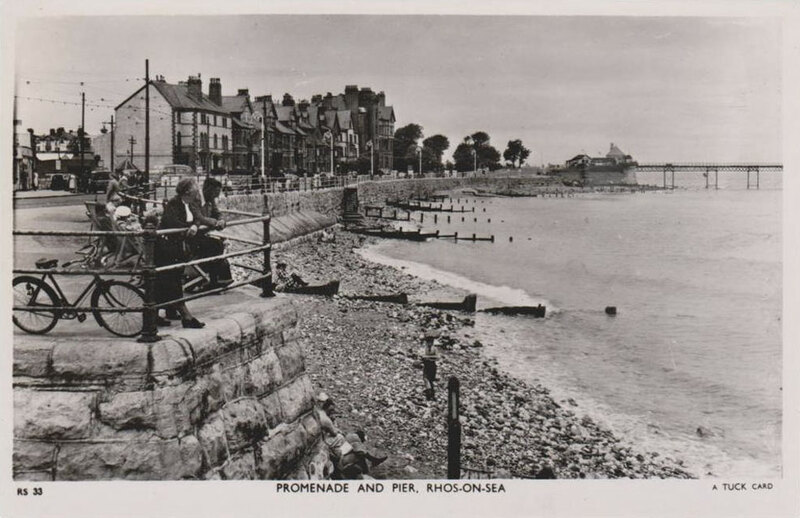 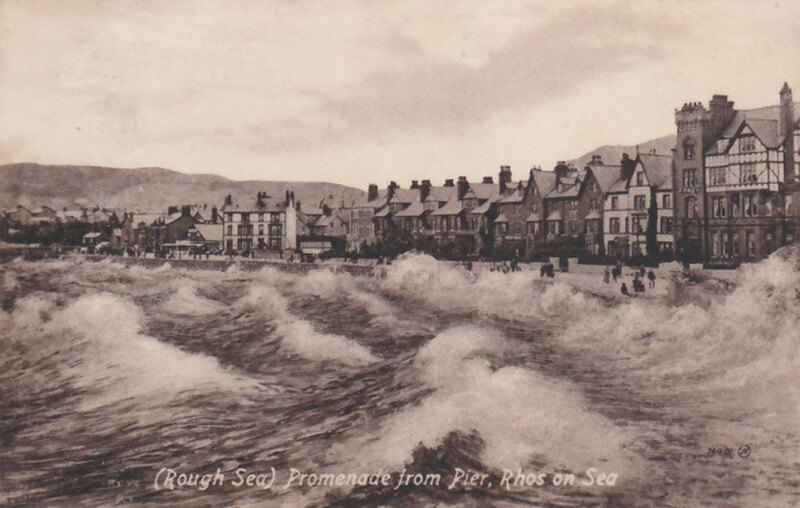 So the pier was never re-erected at Rhos. 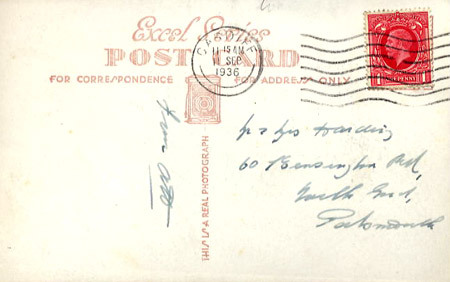 This wrong information came about due to claims in a book published in 1952 and everyone took his word for it. 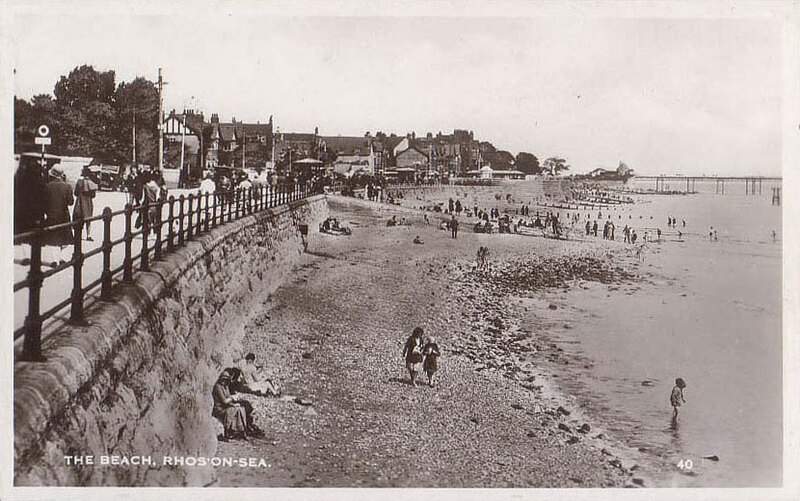 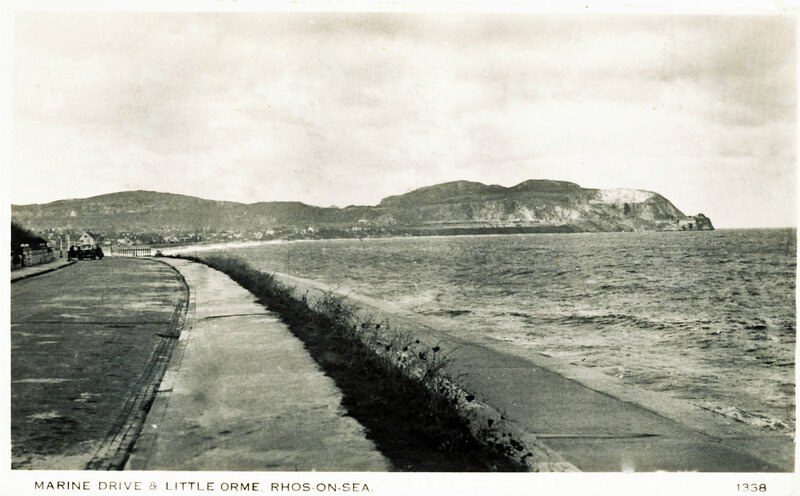 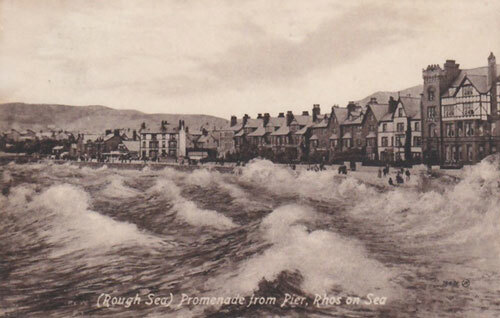 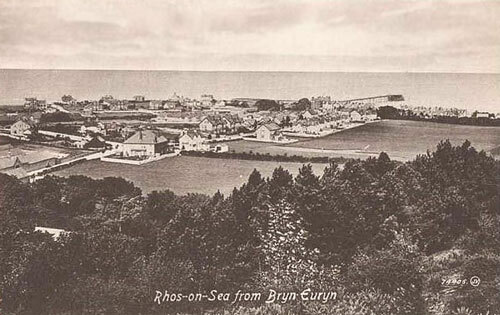 Rhos-on-Sea pier was much longer than Colwyn Bay Pier and serviced pleasure boats between Liverpool, Rhyl, and Conwy. 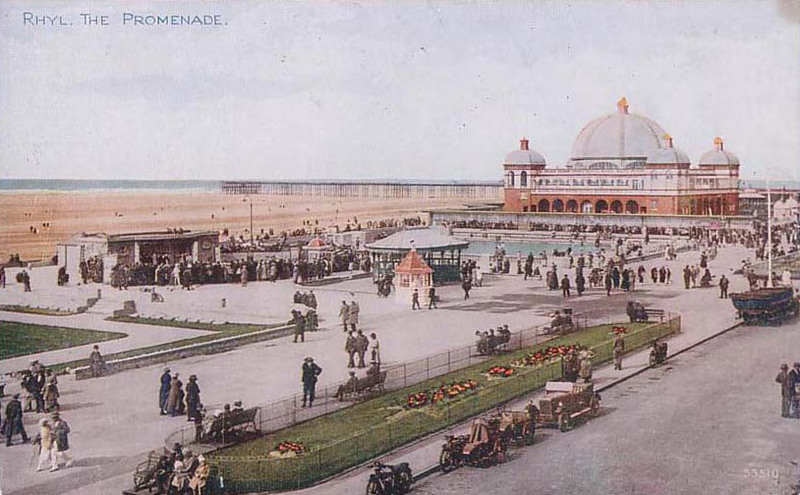 It was sectioned during World War II for defence reasons.It was damaged by fire and was pulled down in 1954. 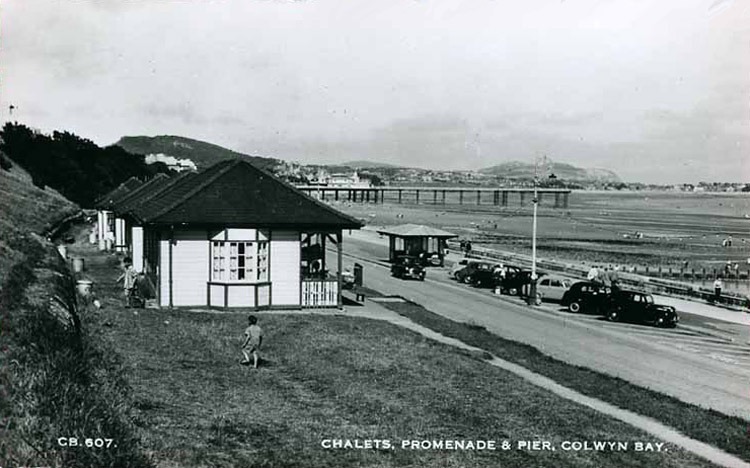 One of the tollbooths survives as a souvenir shop. 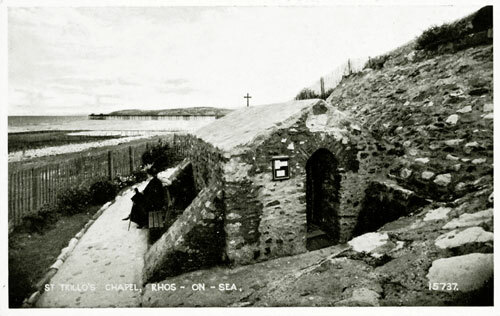 It has a basement that is advertised as the 'Smallest Museum in Wales'. 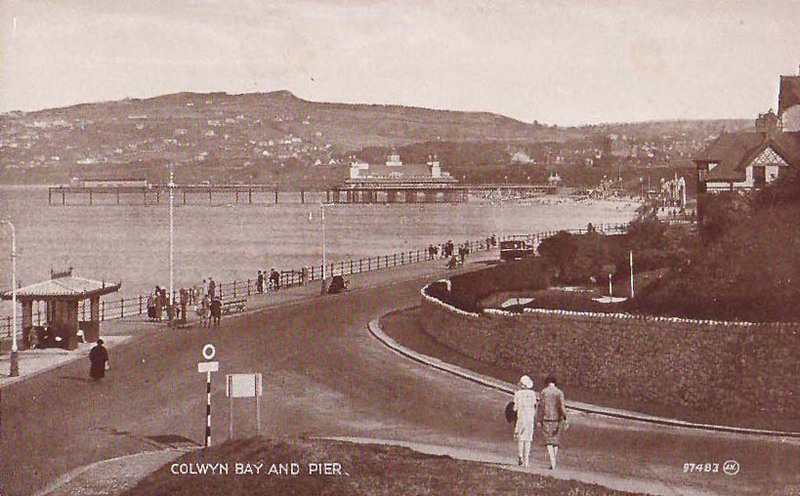 Designed by Maynall and Littlewood of Manchester, Colwyn Bay Victoria Pier was one of the later British piers to be built, opening on 1st June 1900. 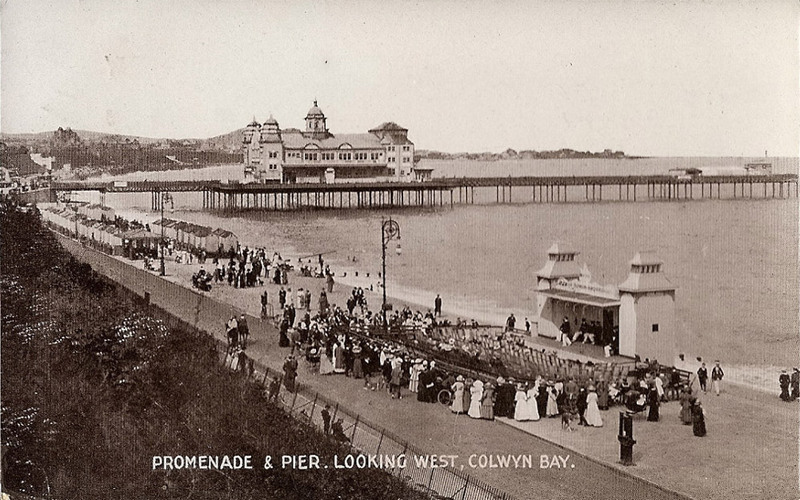 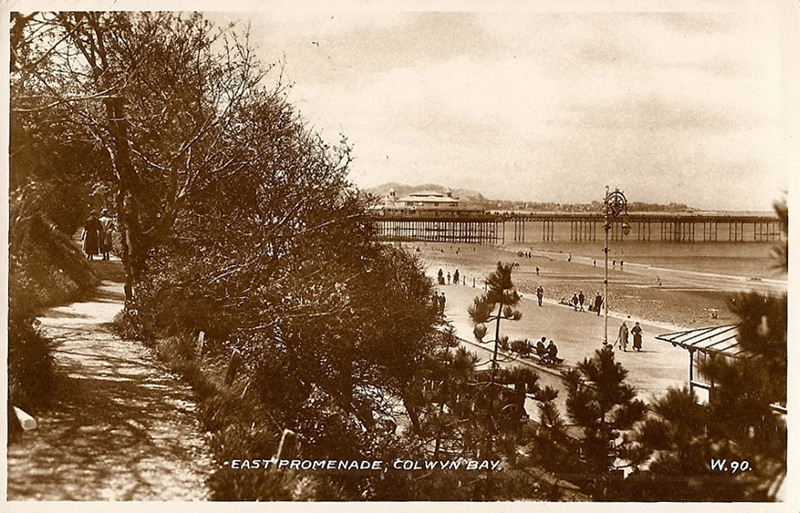 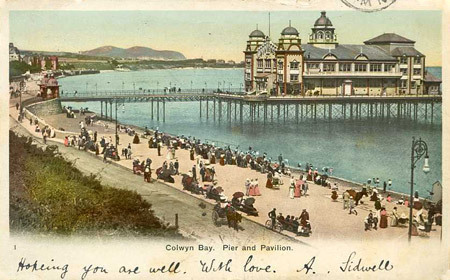 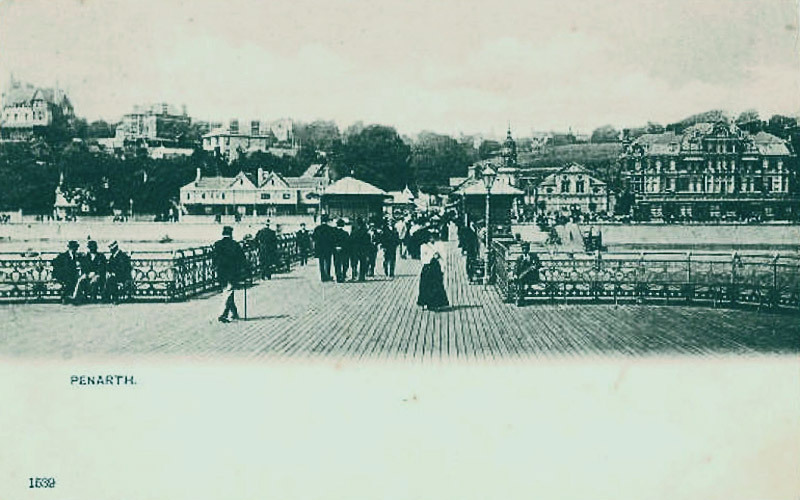 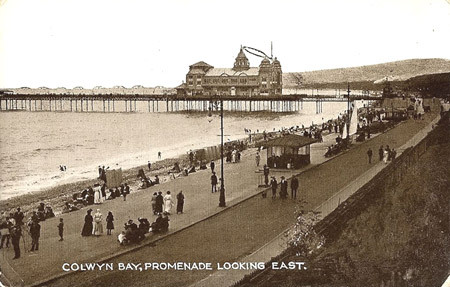 As first constructed, Colwyn Bay Victoria Pier was just 316ft (96m) long and 40ft (12m) wide, comprising a timber promenade deck with seating and railings along its length, and a large 'Moorish' style pavilion. The pavilion was set to the right of the deck, with a walkway allowing access to the pier-head to the left. A modern feature of the pier was the illumination by electric light, and this proved to be quite a spectacle at night. 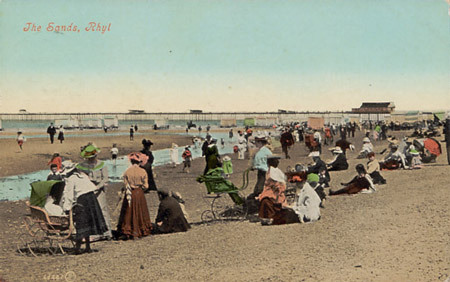 As the popularity of the resort increased, so word spread of the pier's high standard of entertainment, and in 1903 the Victoria Pier Company decided to extend the neck to a length of 750ft (227m) in order to facilitate outdoor theatrical performances. 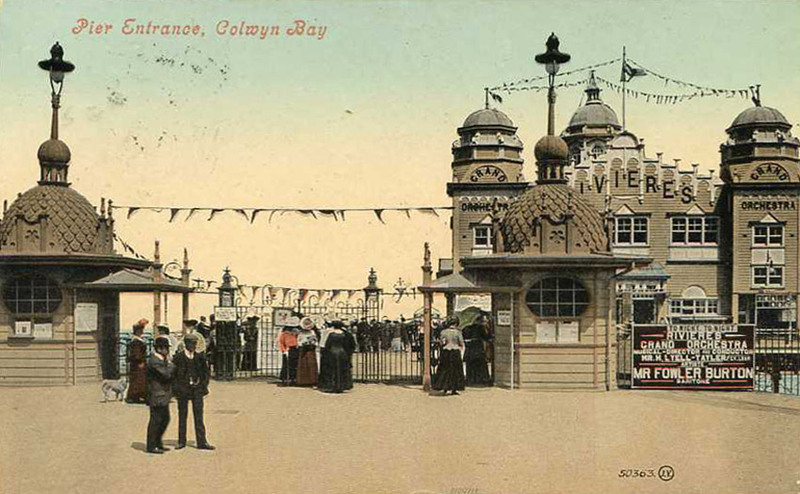 Elegant shelters were then constructed for the convenience of the audience. 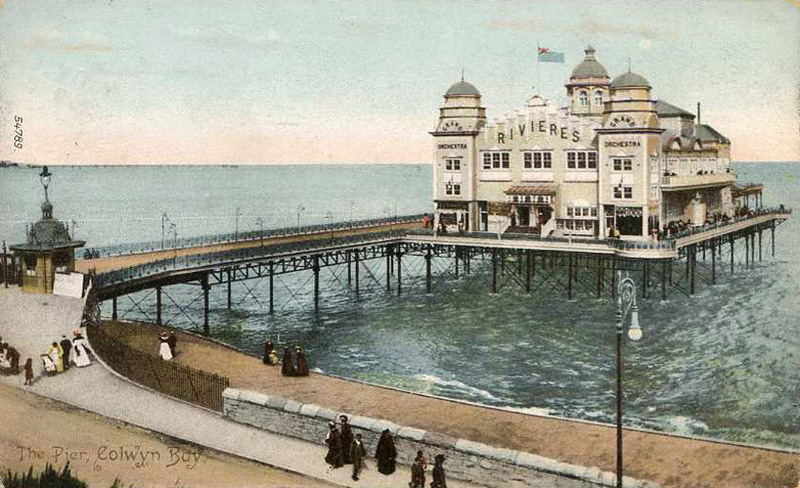 A new Bijou theatre was built in 1917 to allow 'lighter' entertainment to be staged. 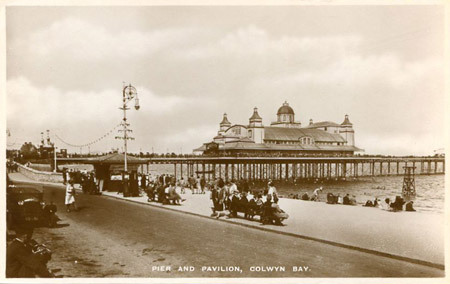 The pavilion did not survive, it being completely destroyed by fire in 1922. 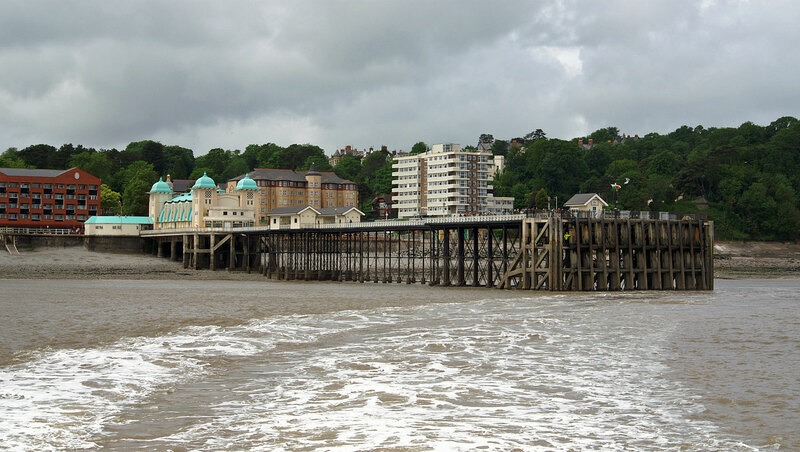 The District Council subsequently purchased the Colwyn Bay Victoria Pier and work began immediately to repair the damage. 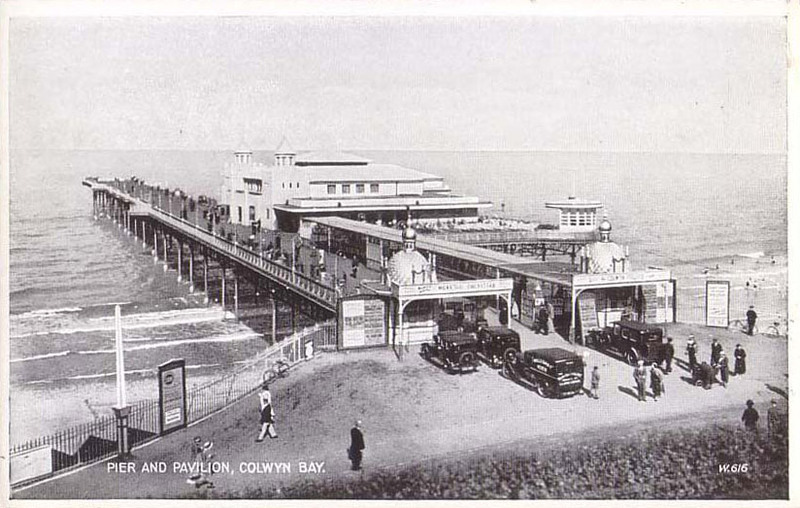 In July 1923 a second pavilion was opened, having cost £45,000 to build. 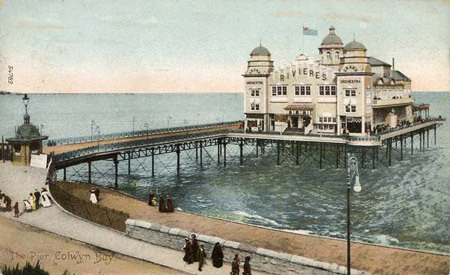 Unfortunately only ten years elapsed before the second pavilion was destroyed in another blaze, followed shortly afterwards by a fire that destroyed the Bijou theatre. 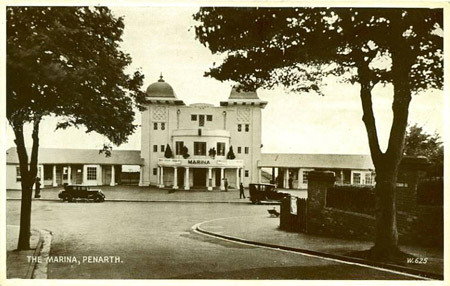 Again the District Council set about rebuilding, and the present pavilion was opened on 18th May 1933, but the theatre was never replaced. 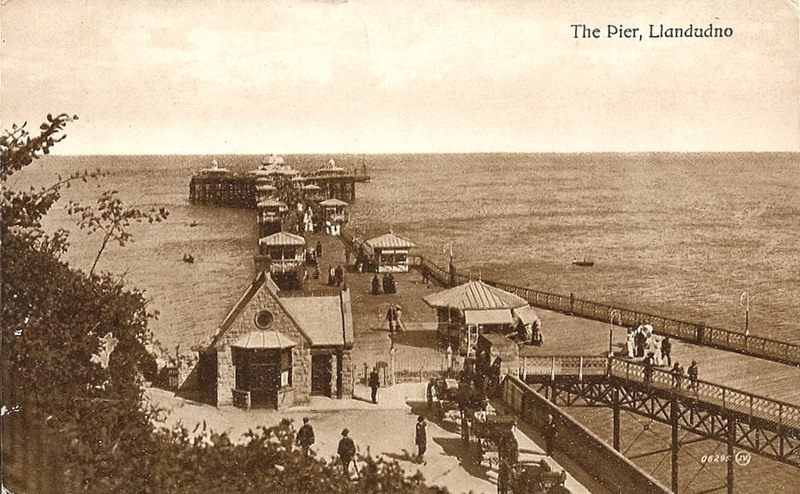 Success continued to be enjoyed until the late 1950s when falling visitor numbers forced the closure of the pier pavilion. 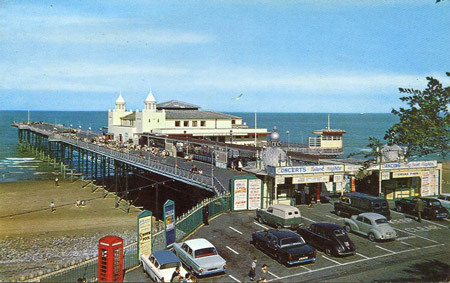 When the pier was sold in 1968 to the First Leisure Company they converted the pavilion into an American style Dixieland showbar, and the ornate entrance gates and tollbooths were demolished to make way for the Golden Goose arcade. Colwyn Bay Victoria Pier continued to attract top bands throughout the 1970s, but in 1976 the owners decided to apply for an order to demolish the structure. Due to local opposition, this was refused and the pier was sold to Parker Leisure Holdings in 1979. 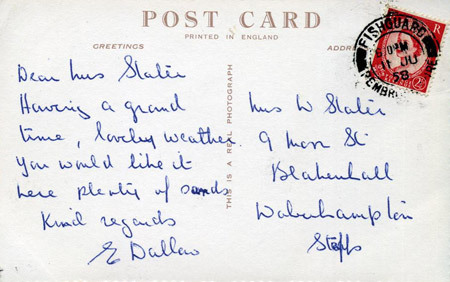 The Dixieland showbar was converted into a disco with adjoining bars, and this appeared to be a success initially. 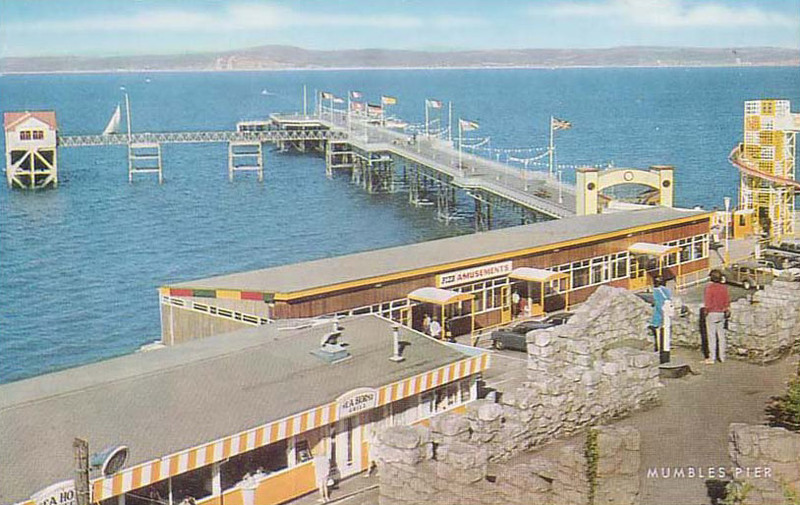 However, by 1986 the estimated cost of repairs to the structure had made the business untenable. A further demolition application was refused, and the Colwyn Bay Victoria Pier was put up for sale once more. 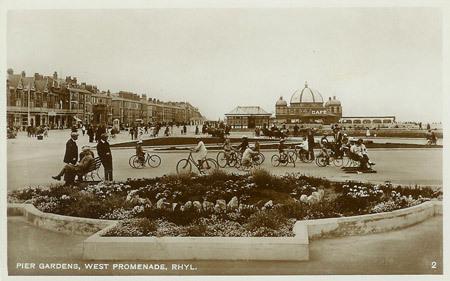 Rhyl Pier was built in 1867 to the designs of J Brunlees, costing £15000. 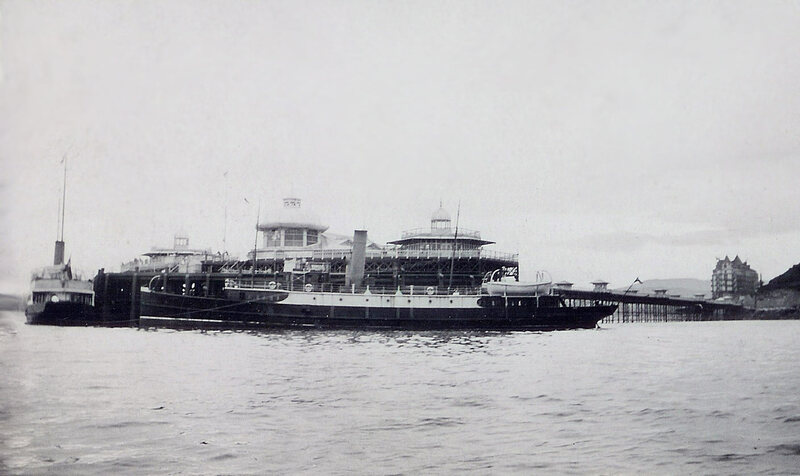 It was 2355 ft long. In 1883 it was damaged when a ship collided with it. 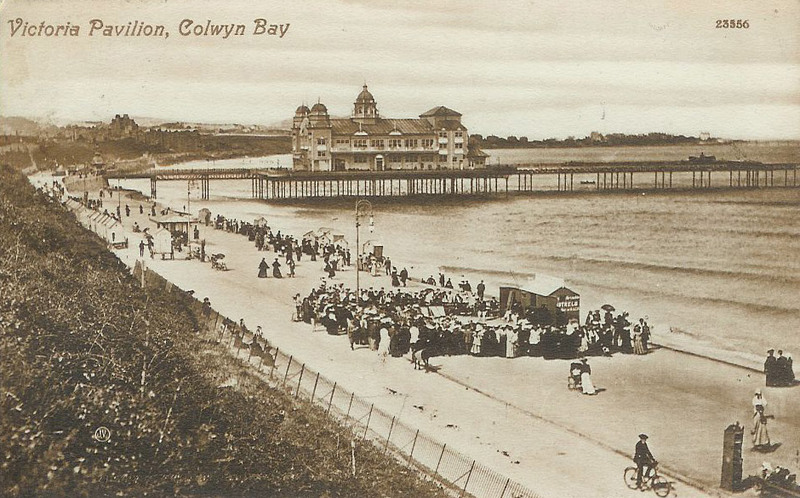 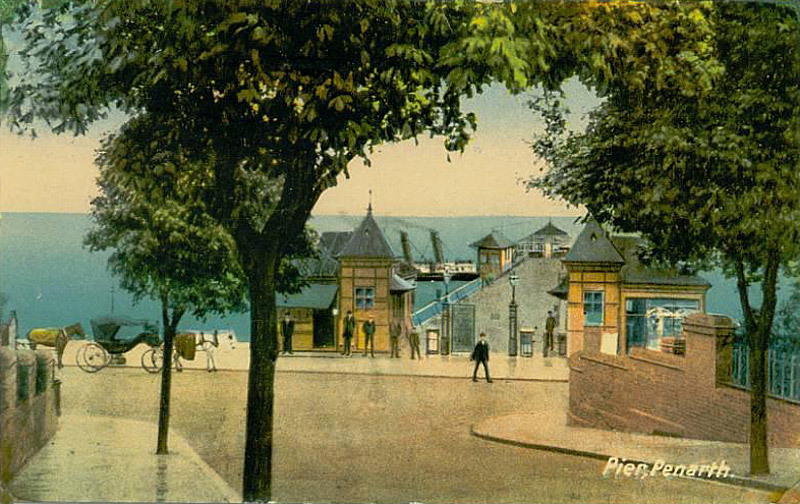 In 1901 the pavilion was burnt down, which eventually led to the pier's closure in 1913. 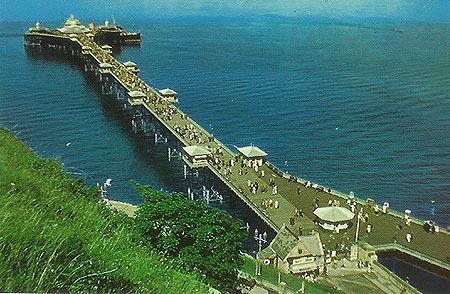 It was repaired and re-opened in 1930, but closed finally in 1966 by which time its length was only 330 ft. It was demolished in 1973.